In the "Shape Designs” worksheets, the student must identify the three shapes that form part of the design. 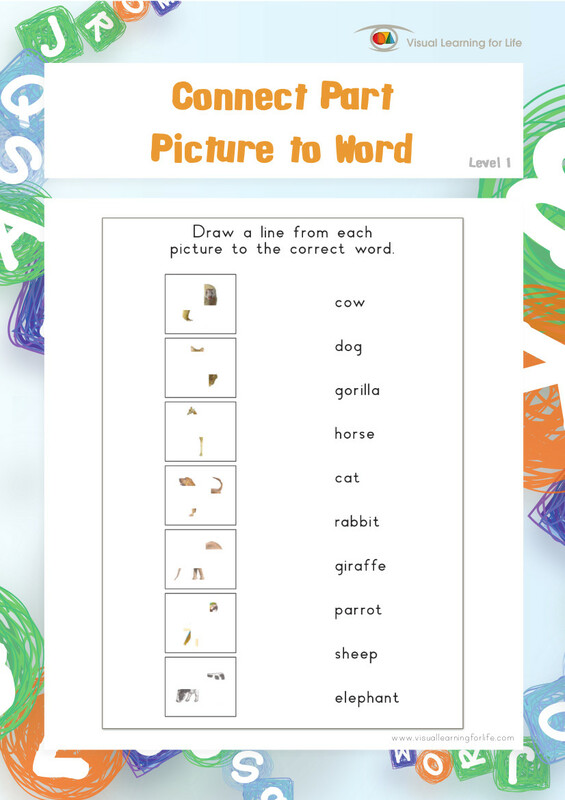 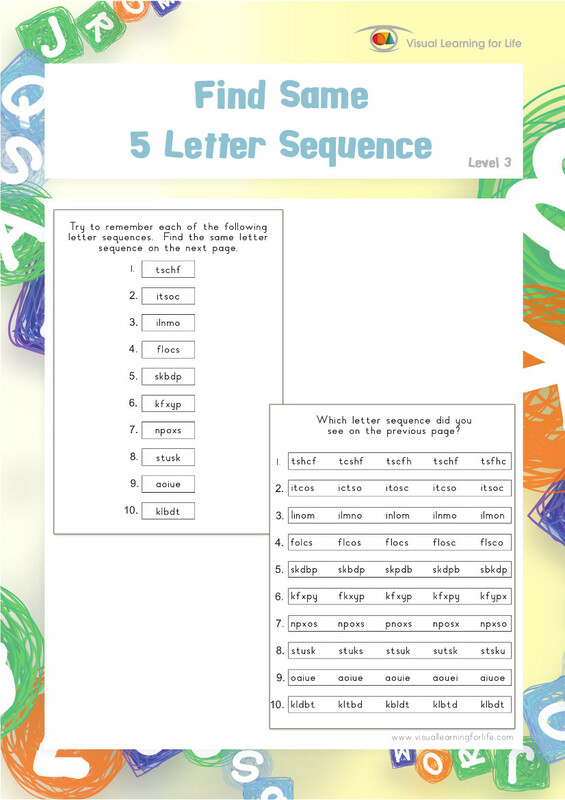 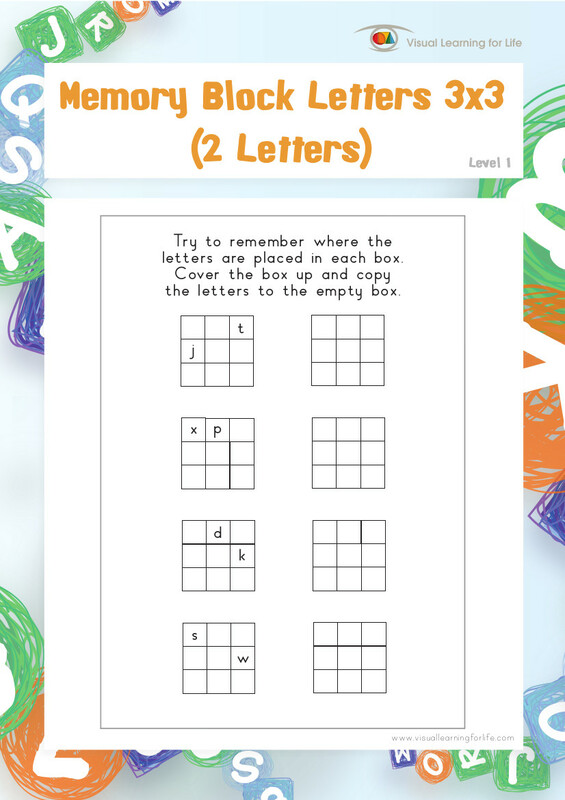 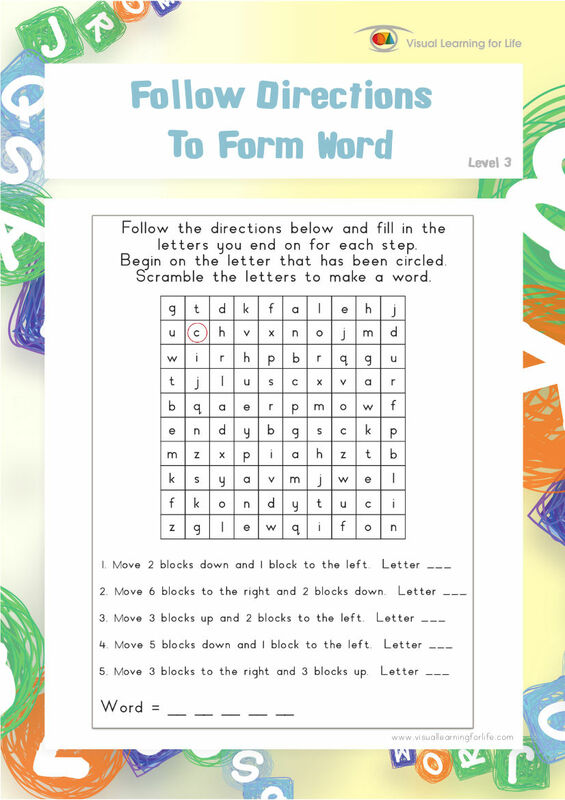 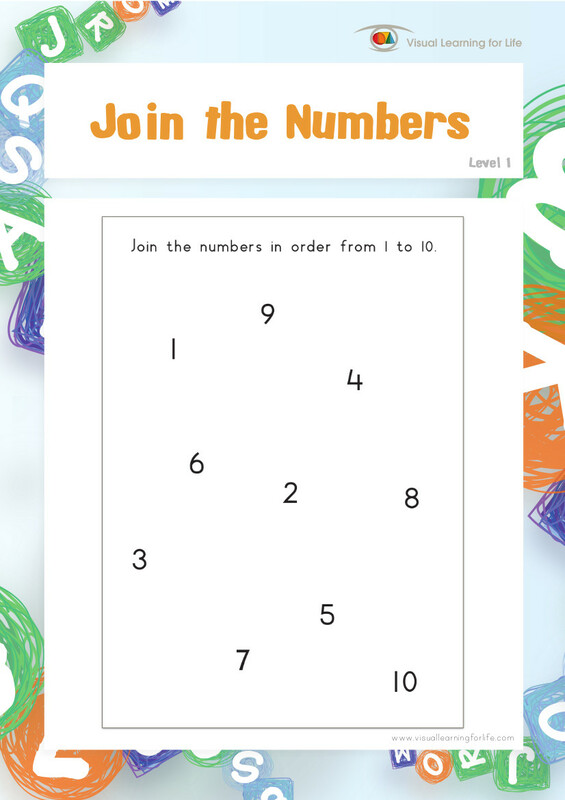 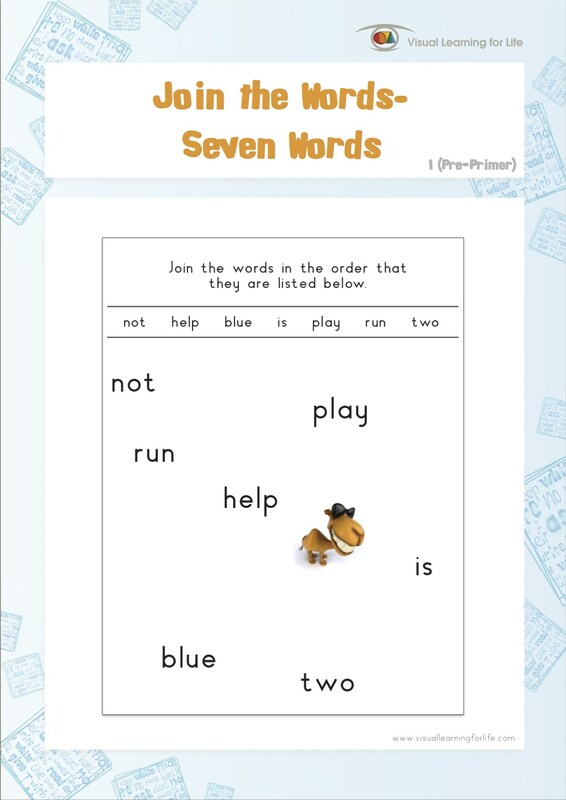 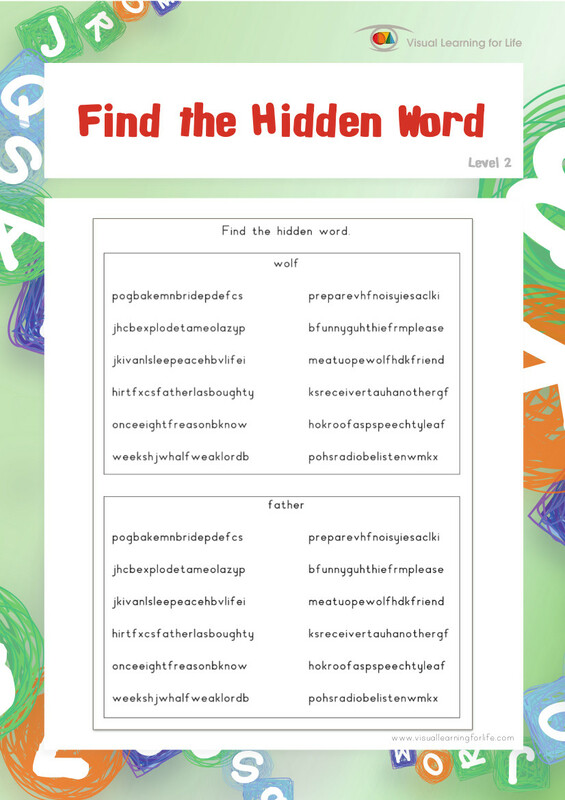 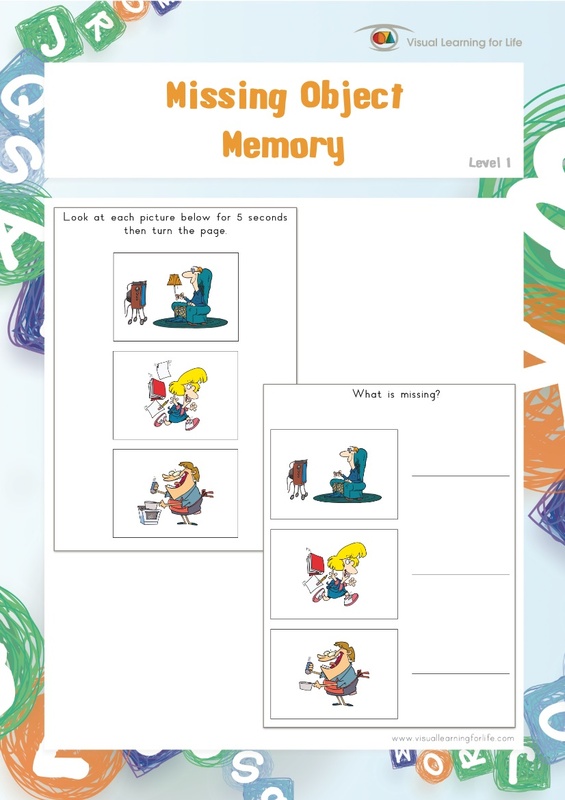 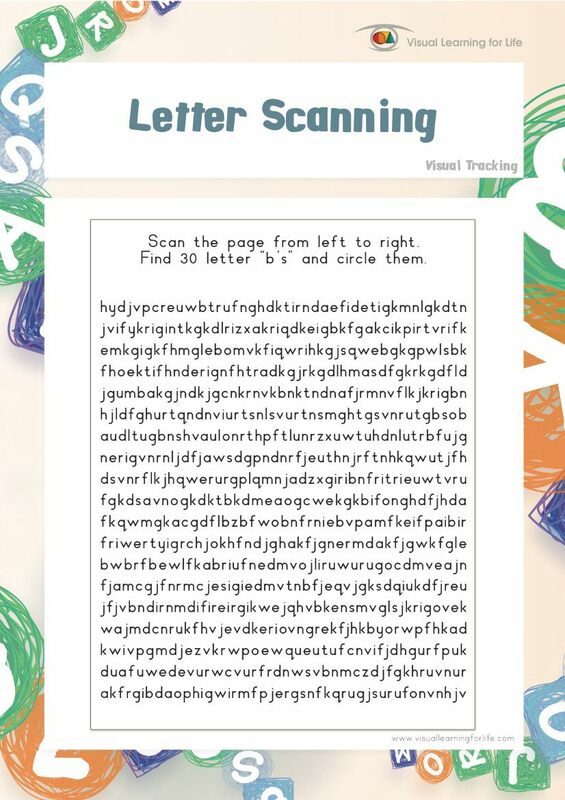 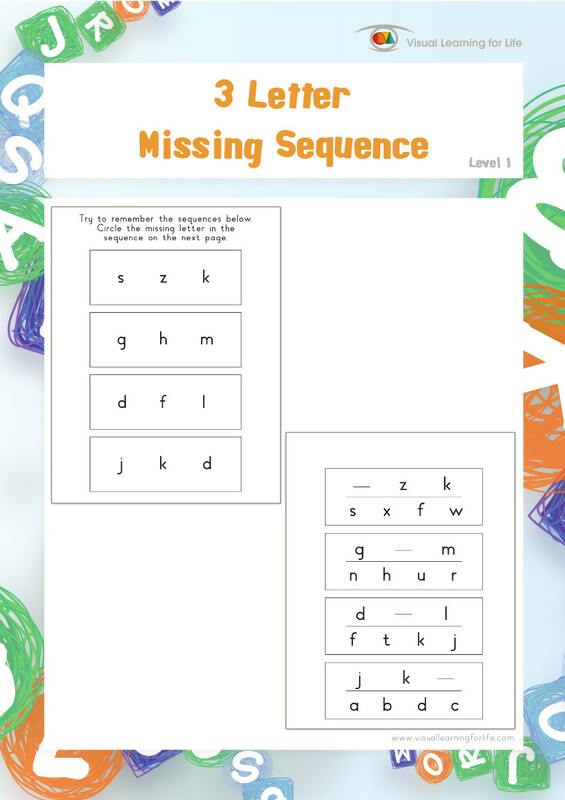 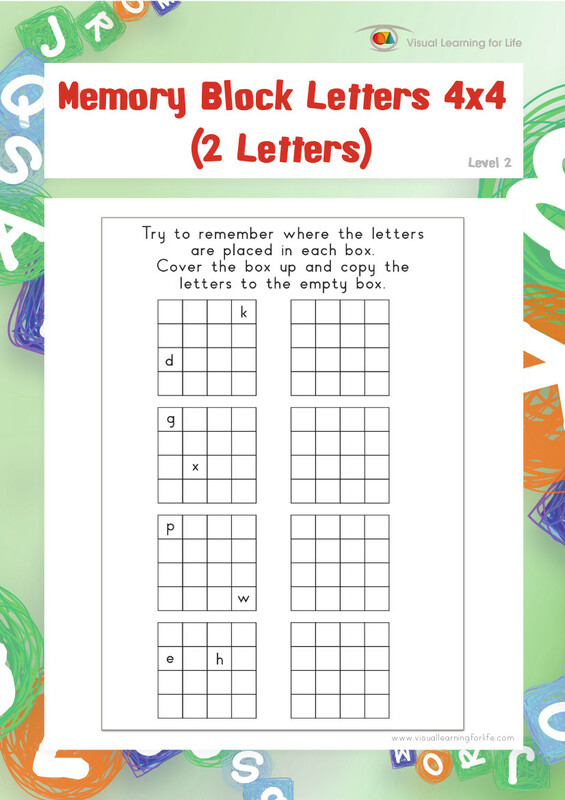 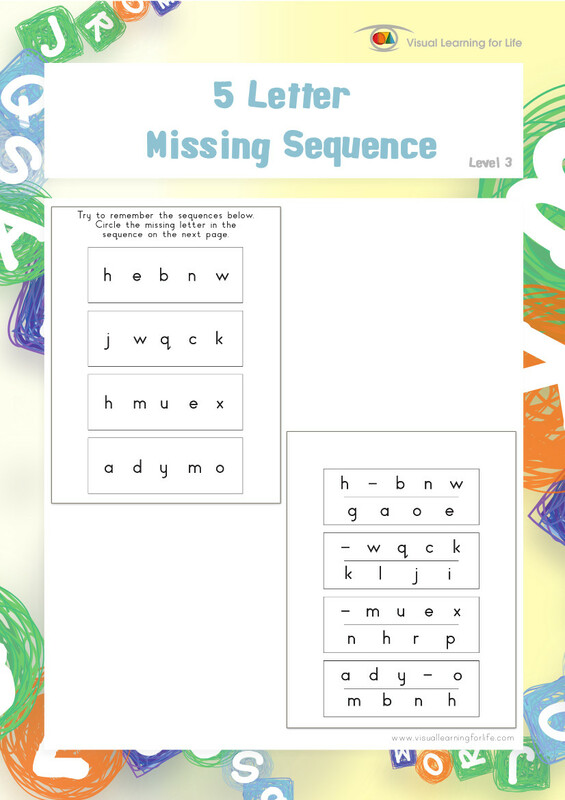 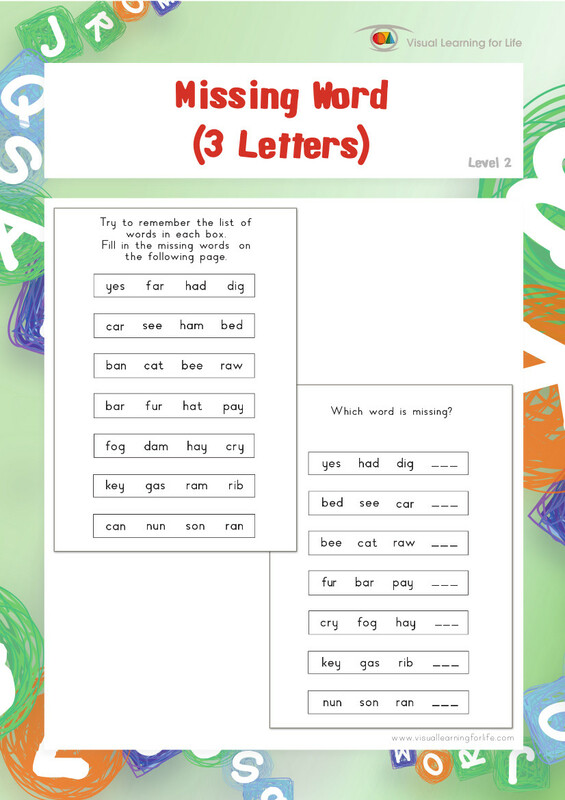 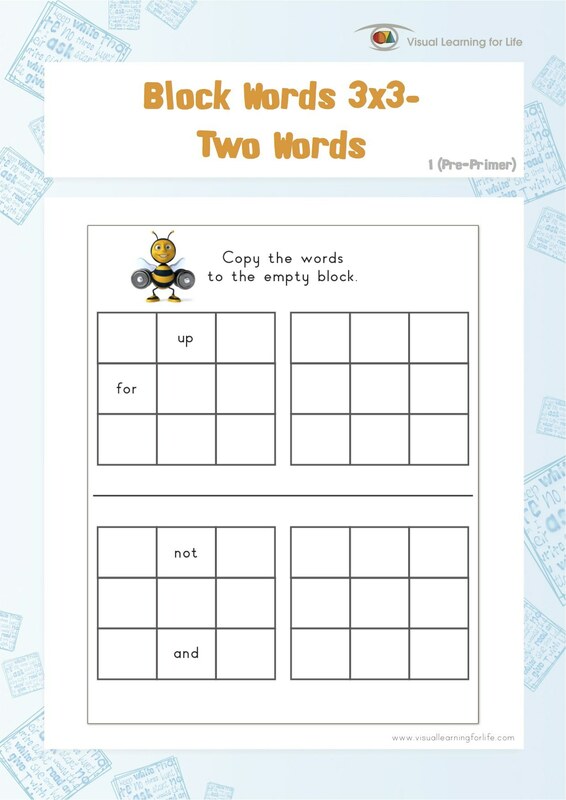 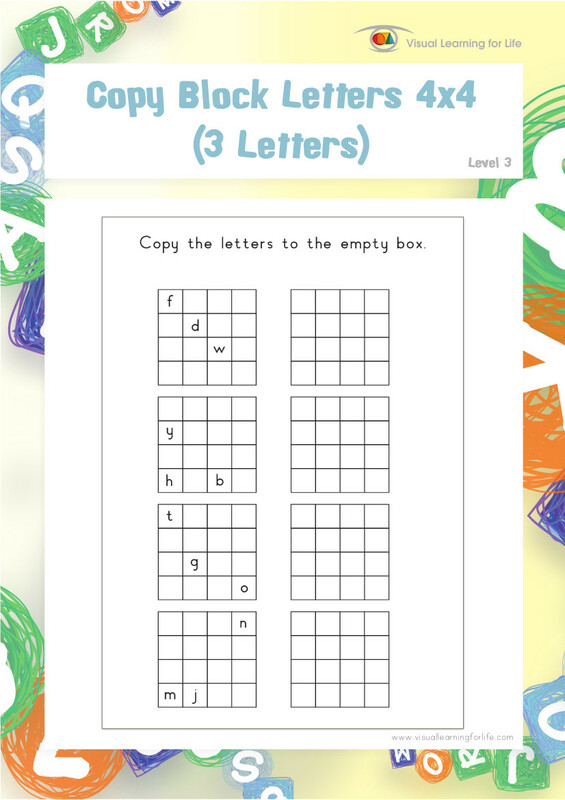 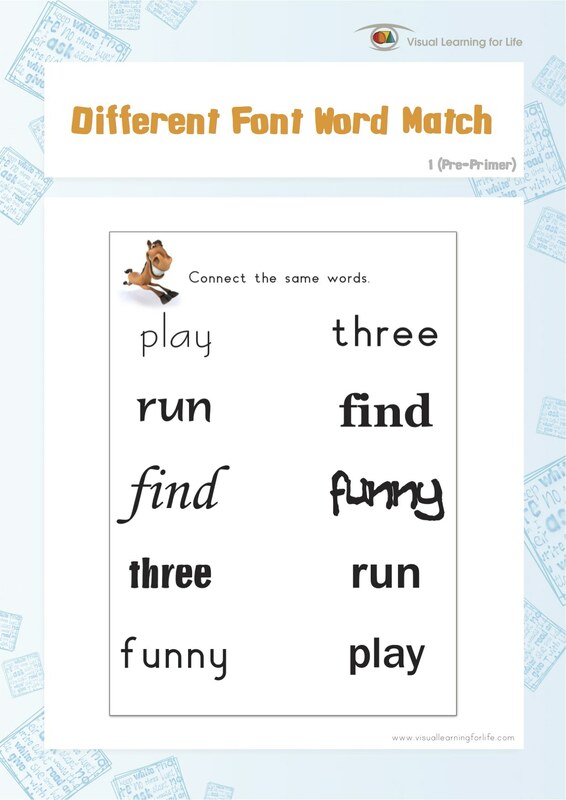 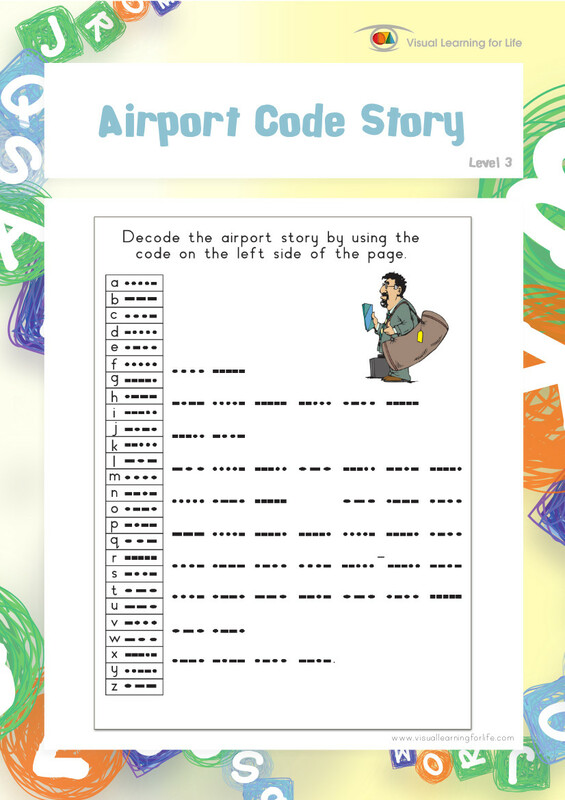 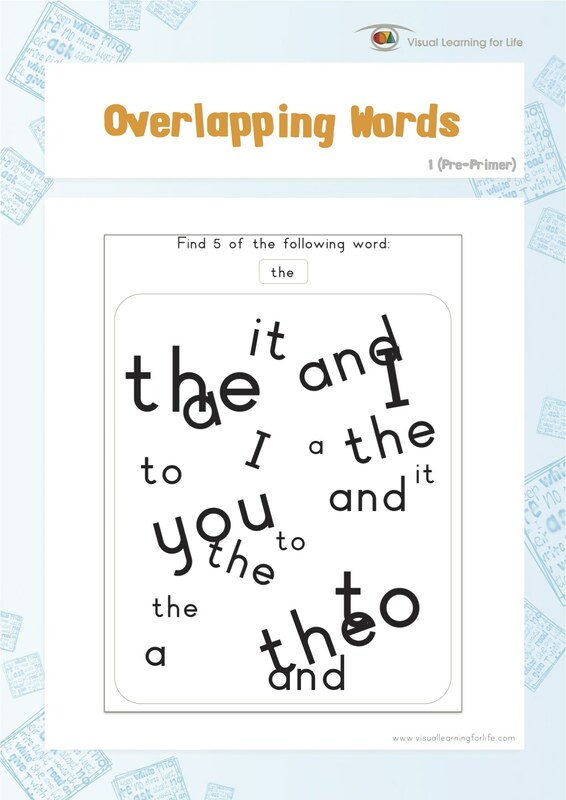 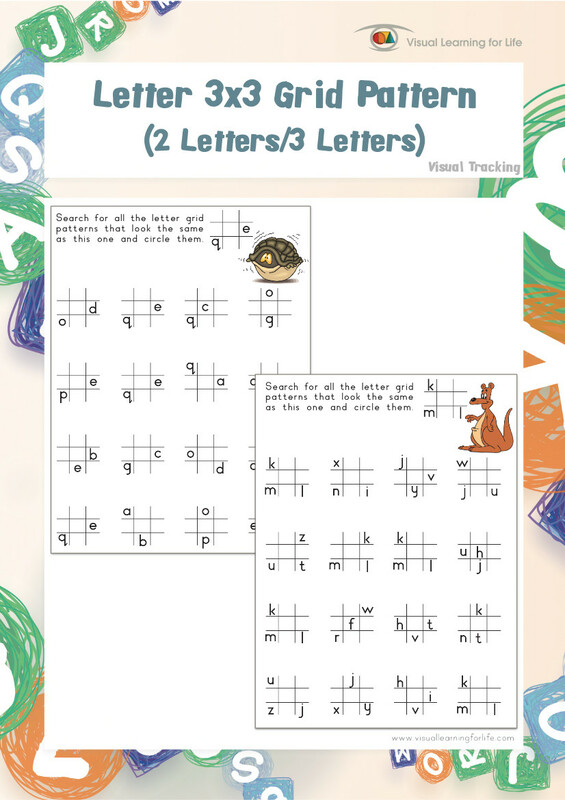 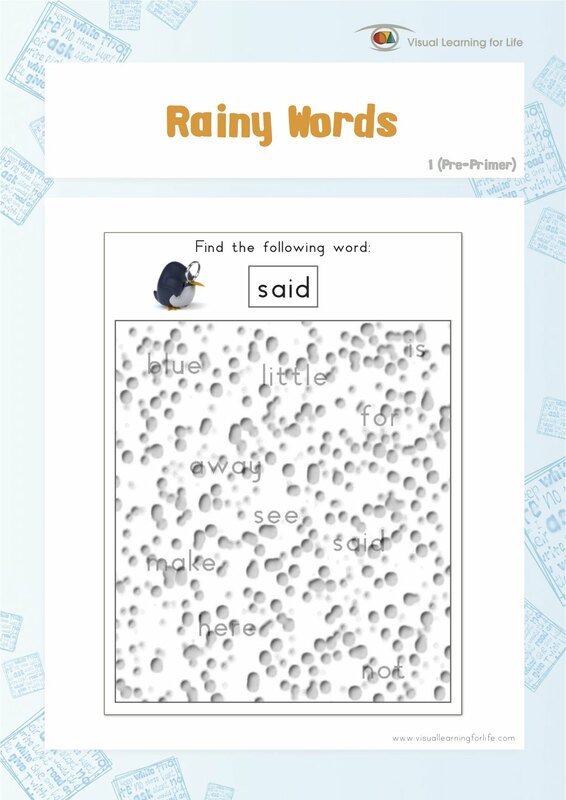 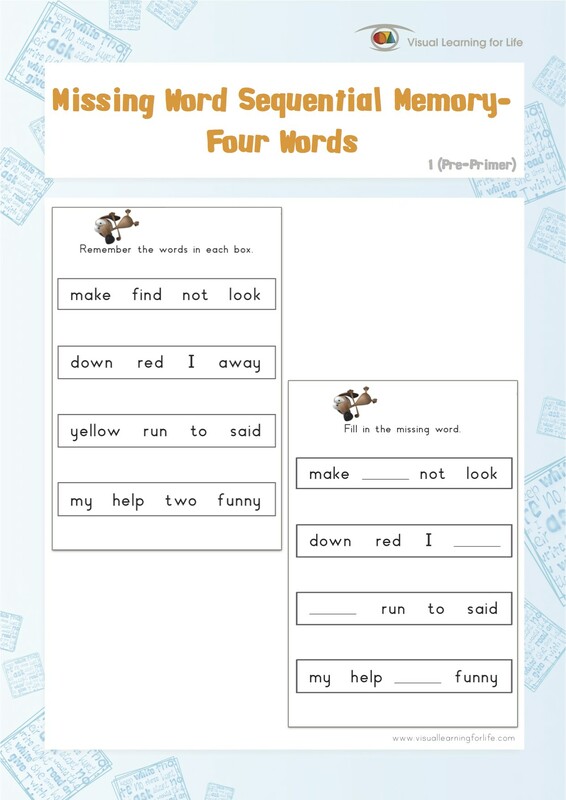 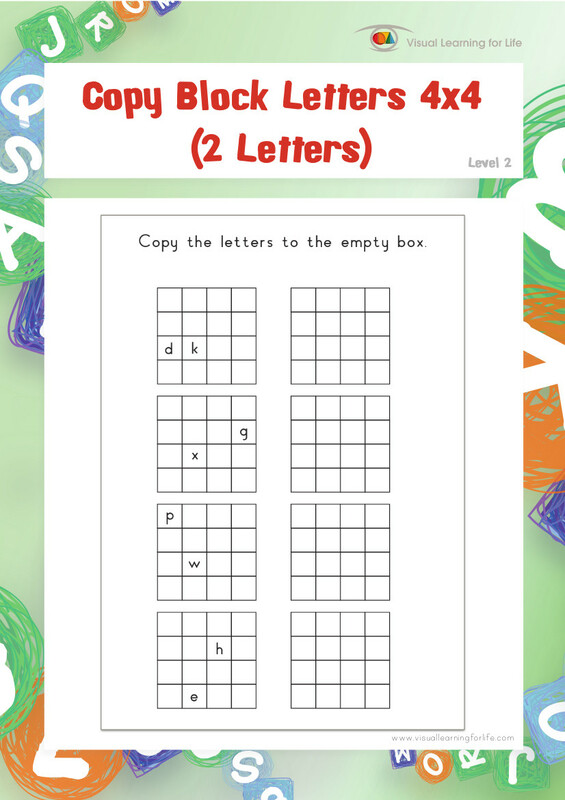 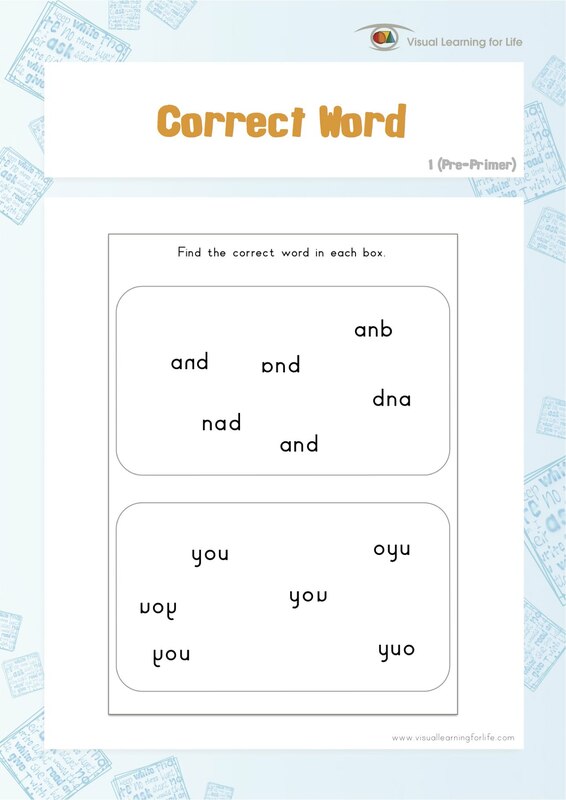 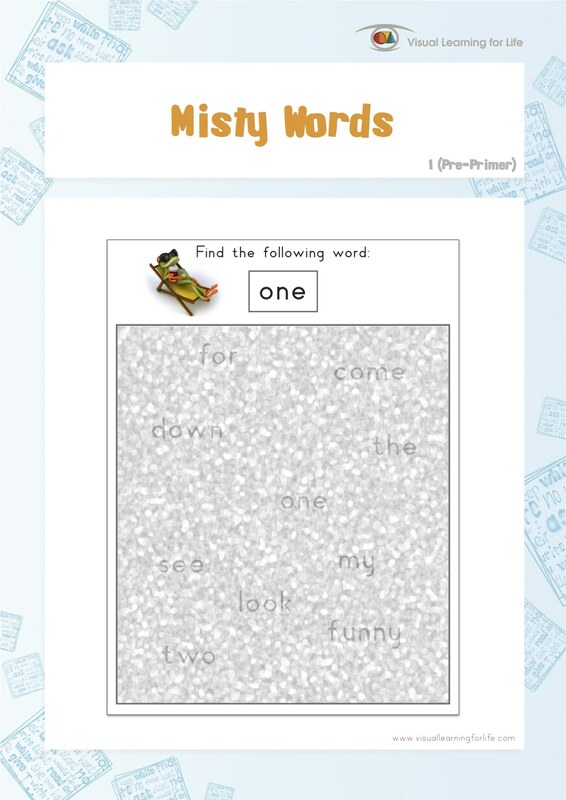 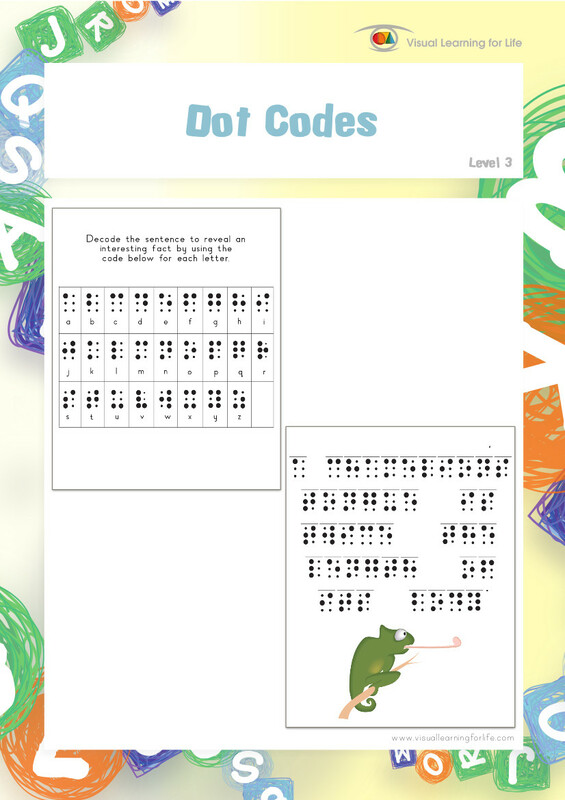 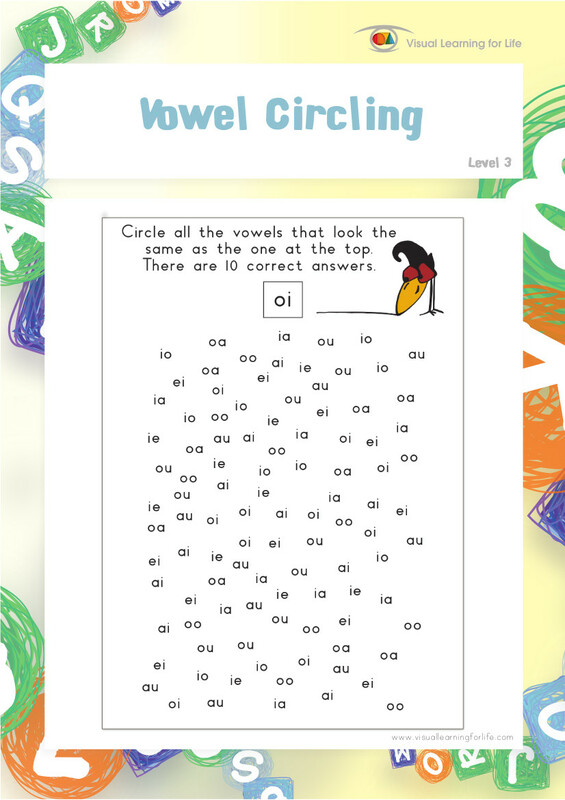 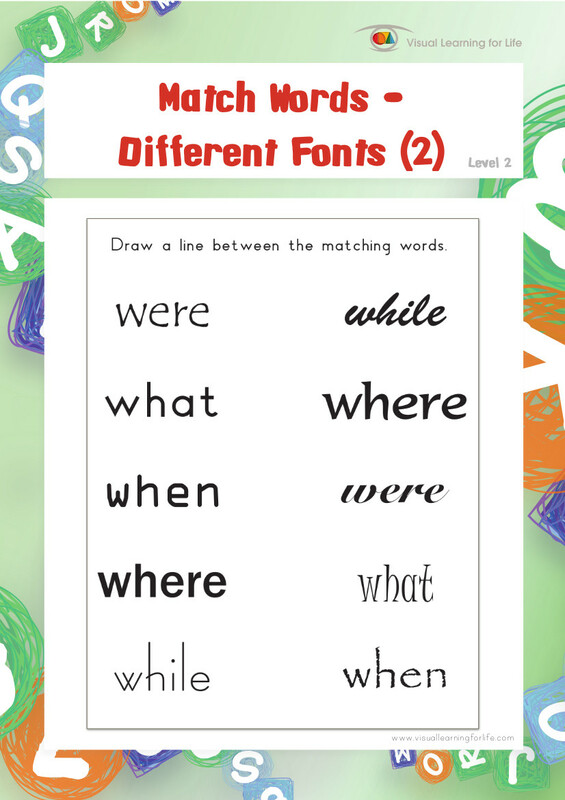 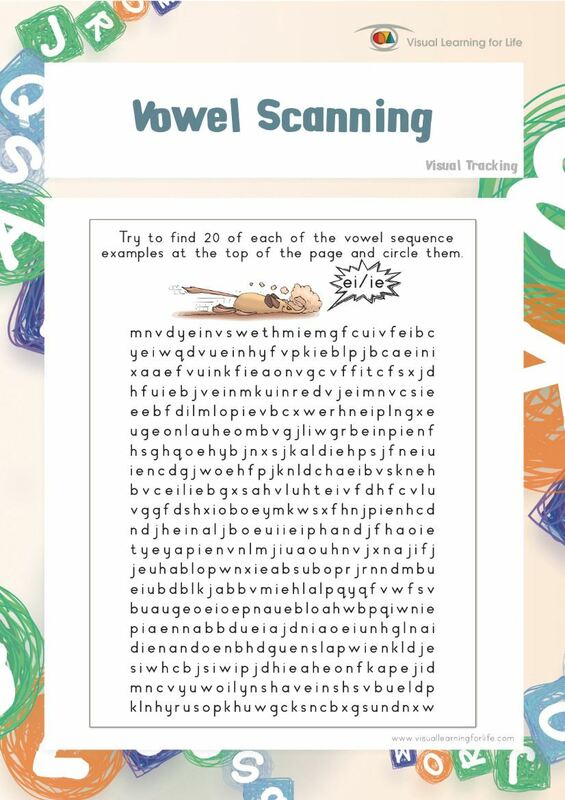 This file contains 10 worksheets. 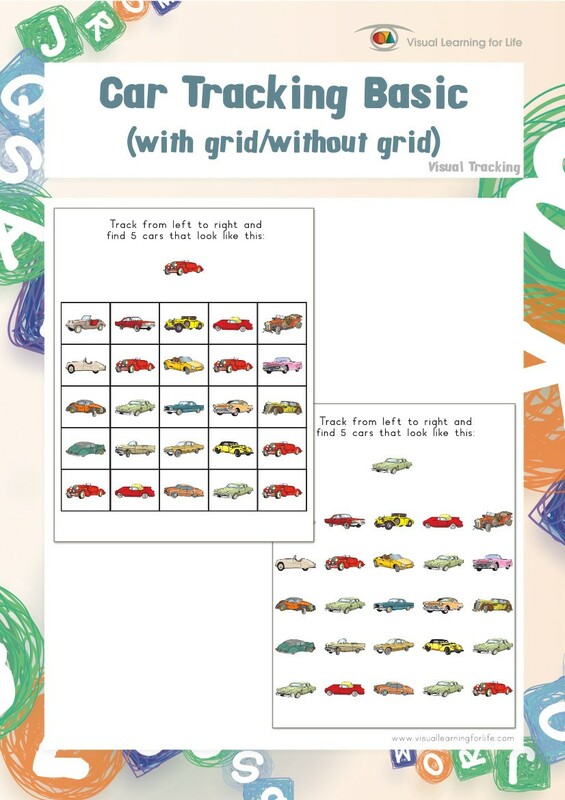 Visual Analysis and Synthesis is the ability to recognize how certain parts make a whole. 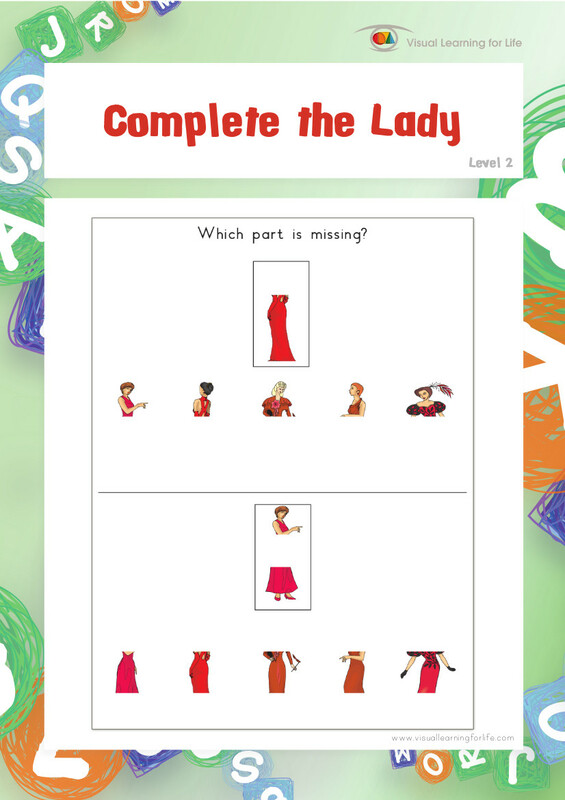 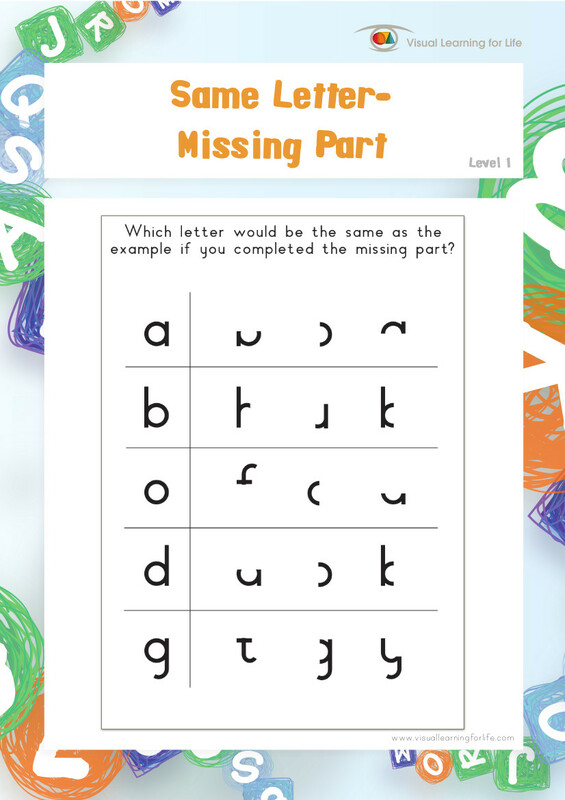 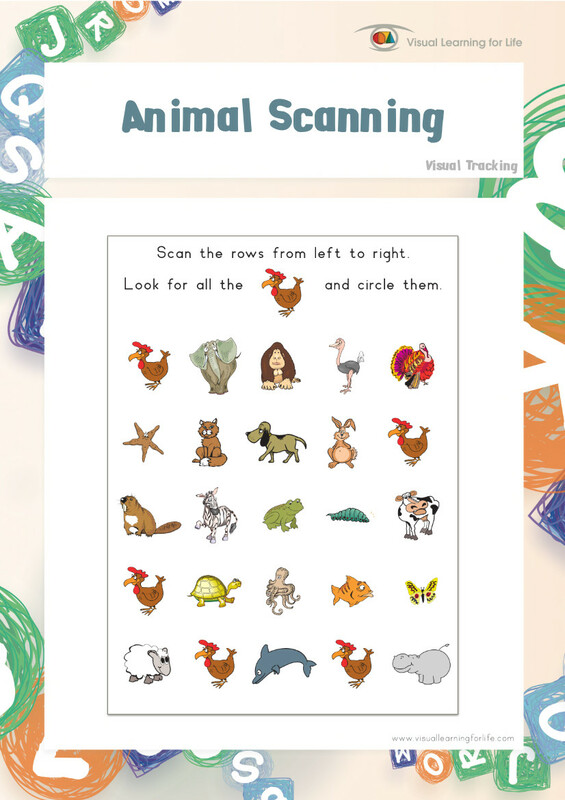 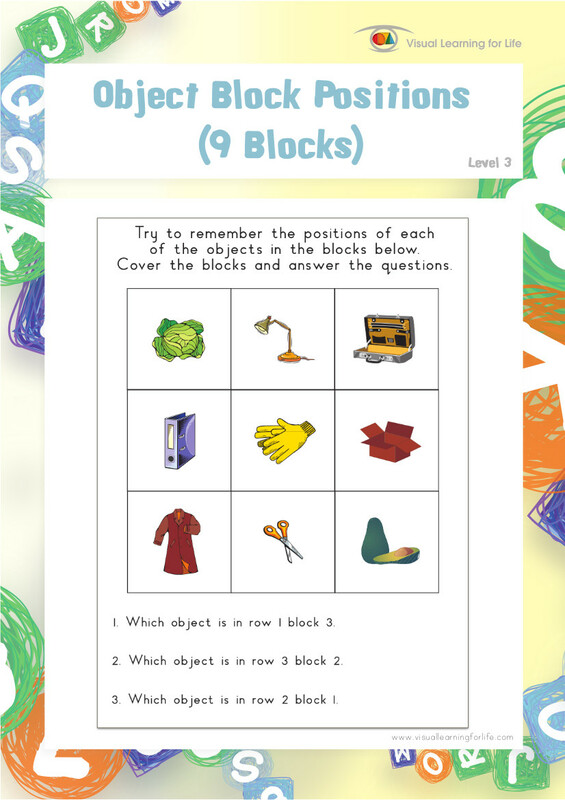 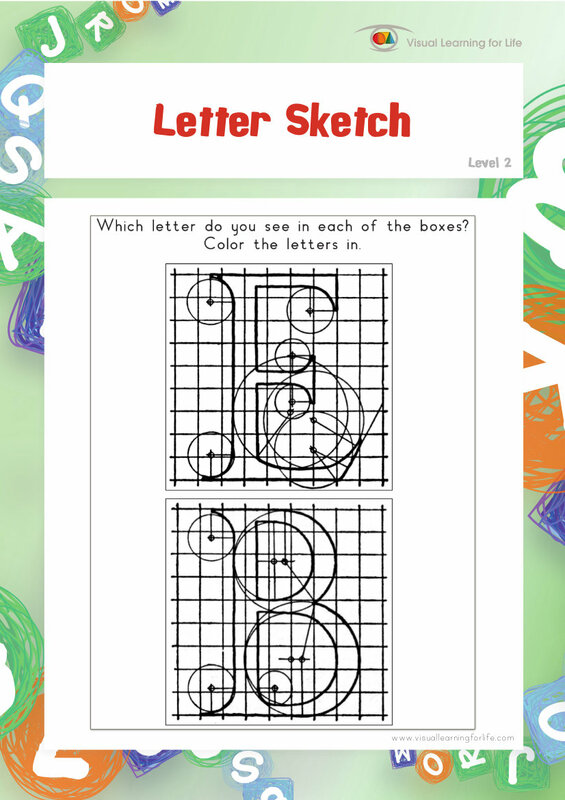 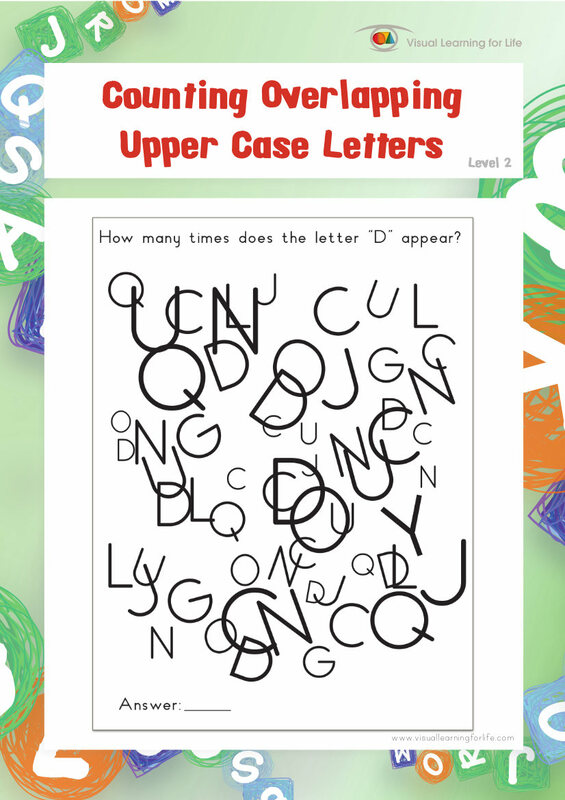 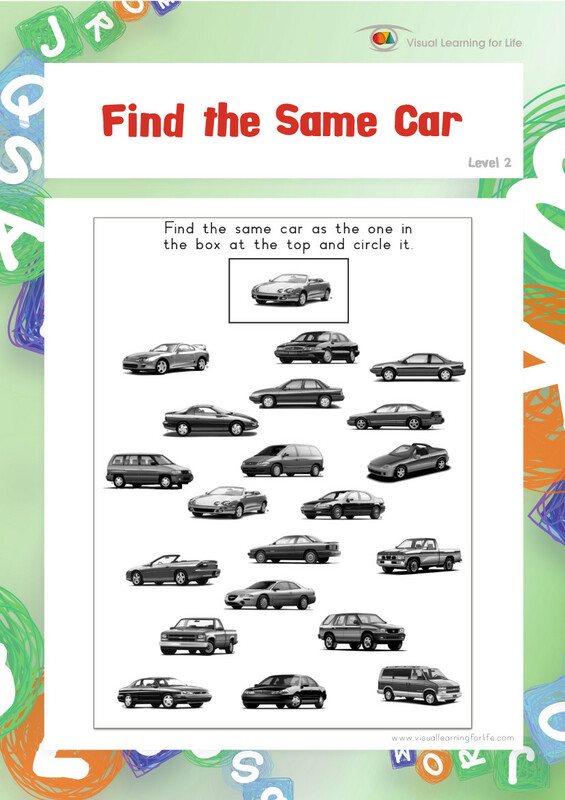 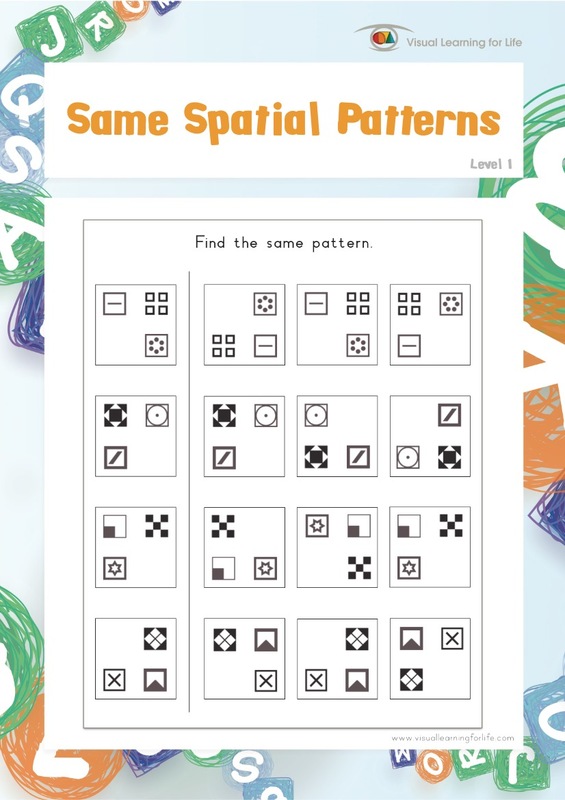 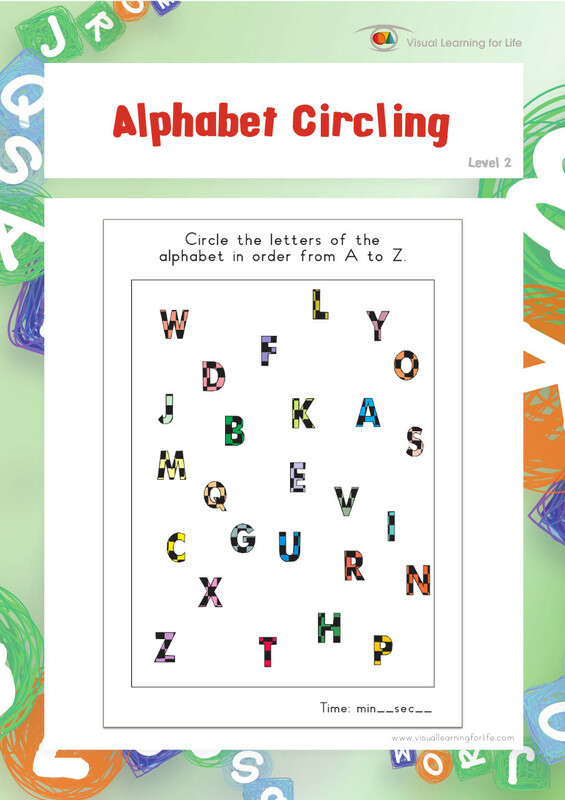 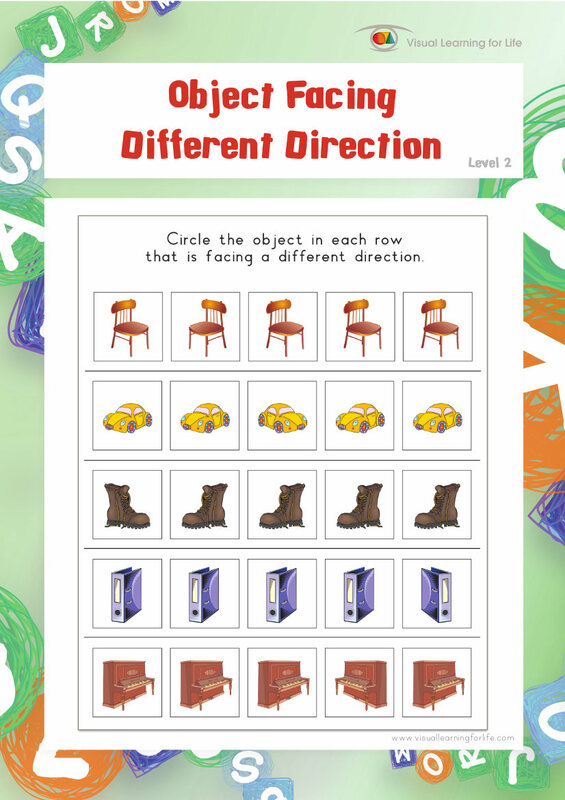 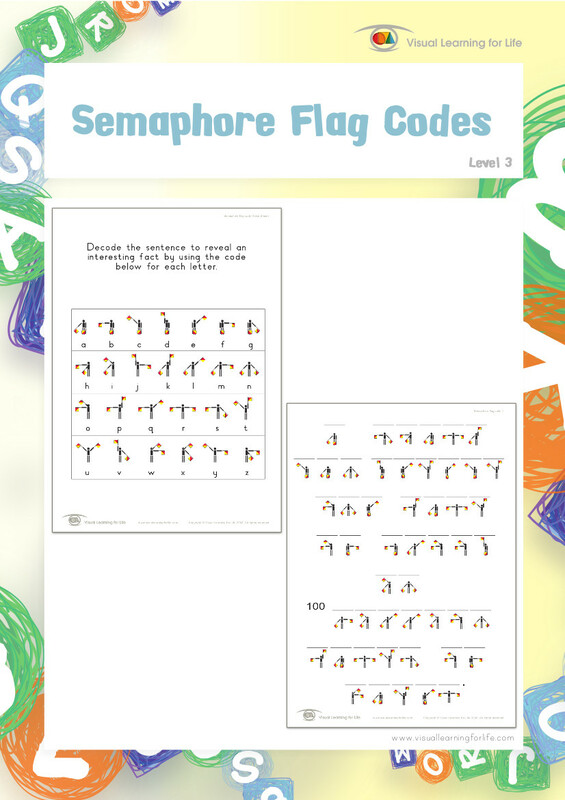 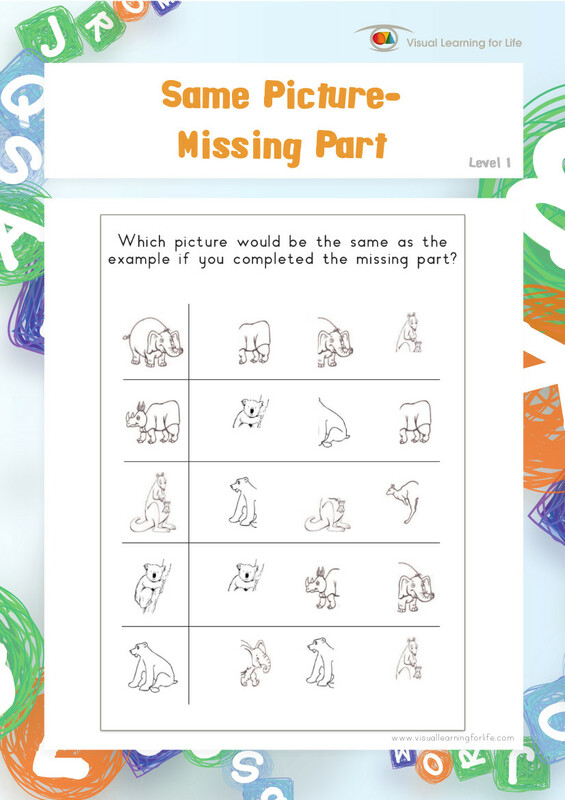 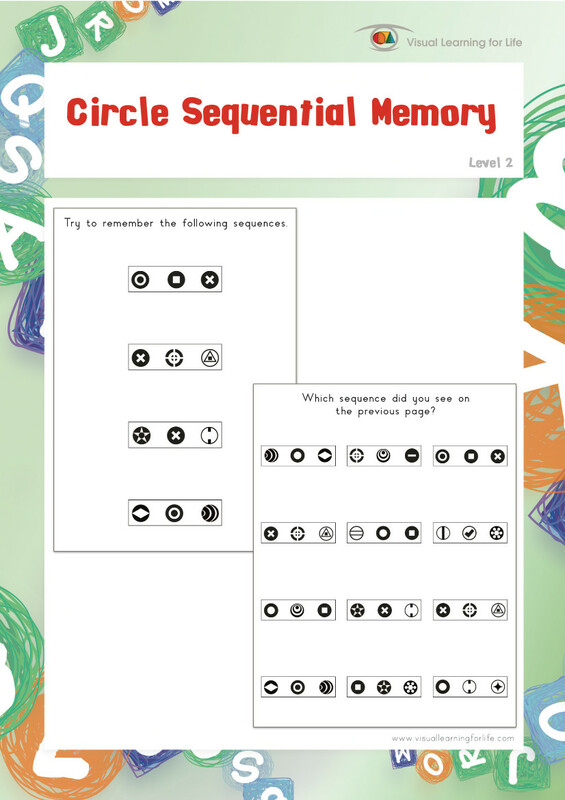 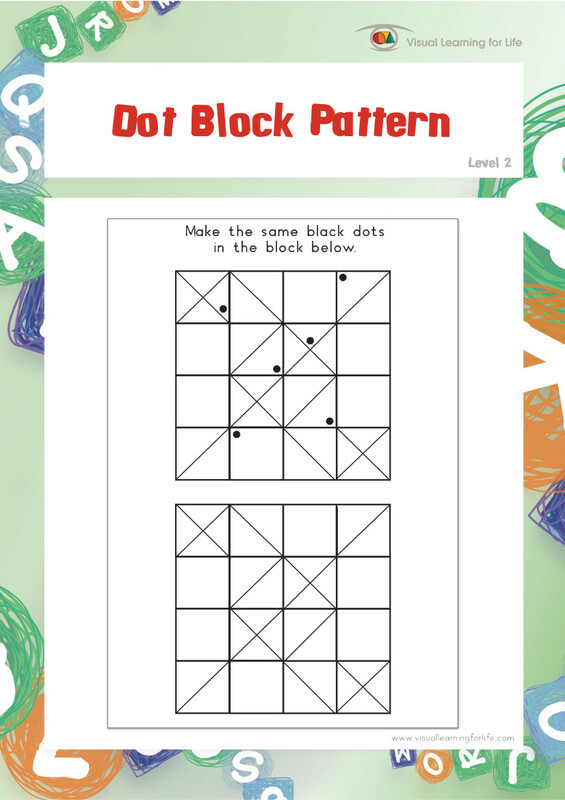 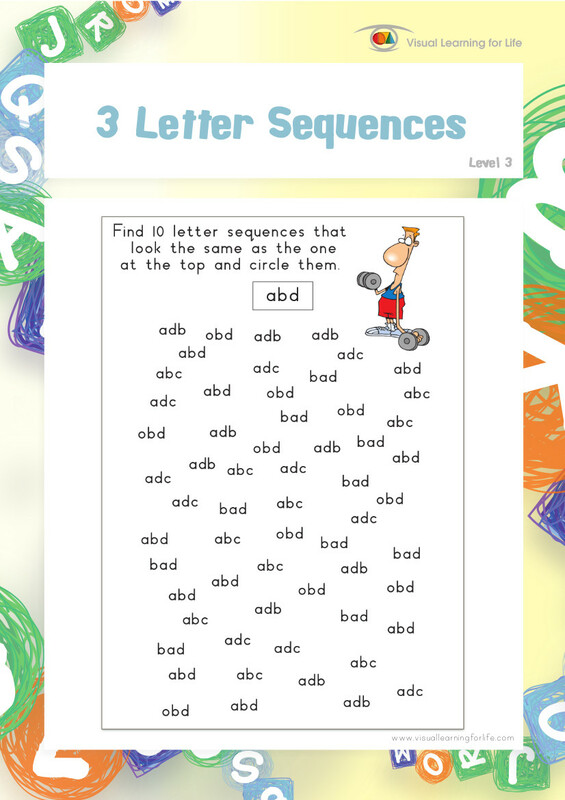 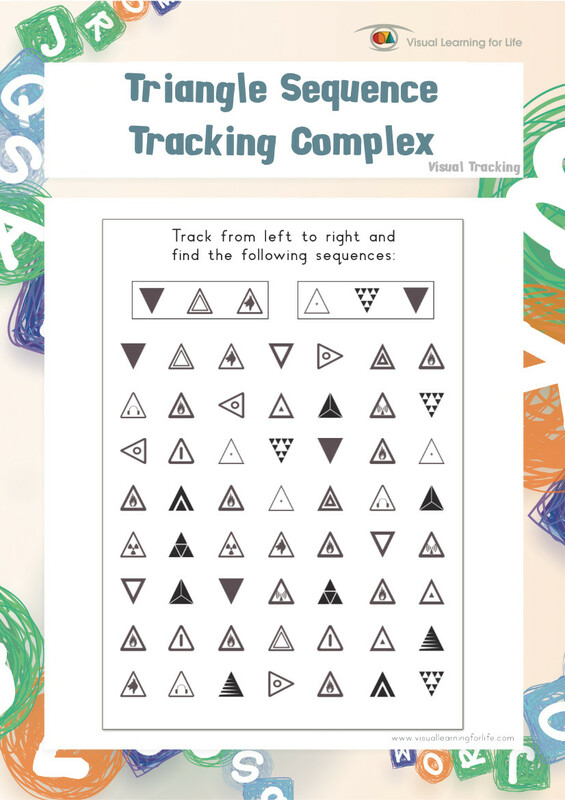 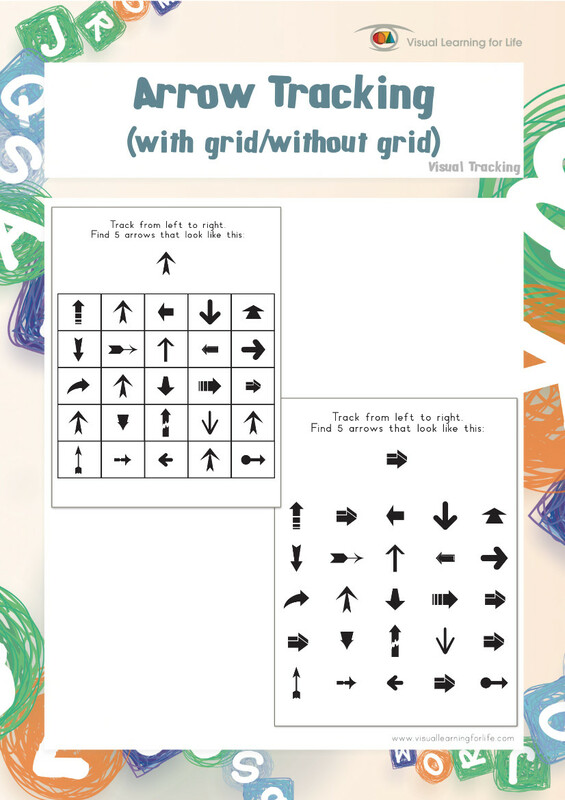 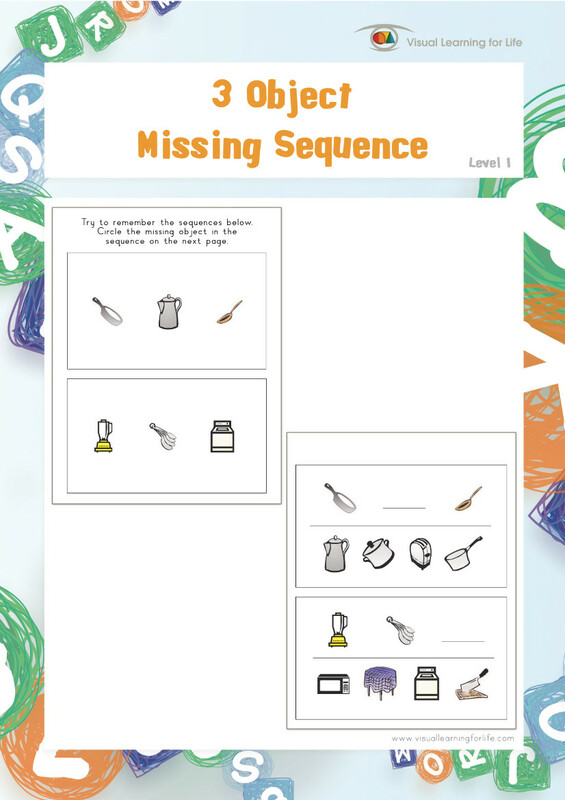 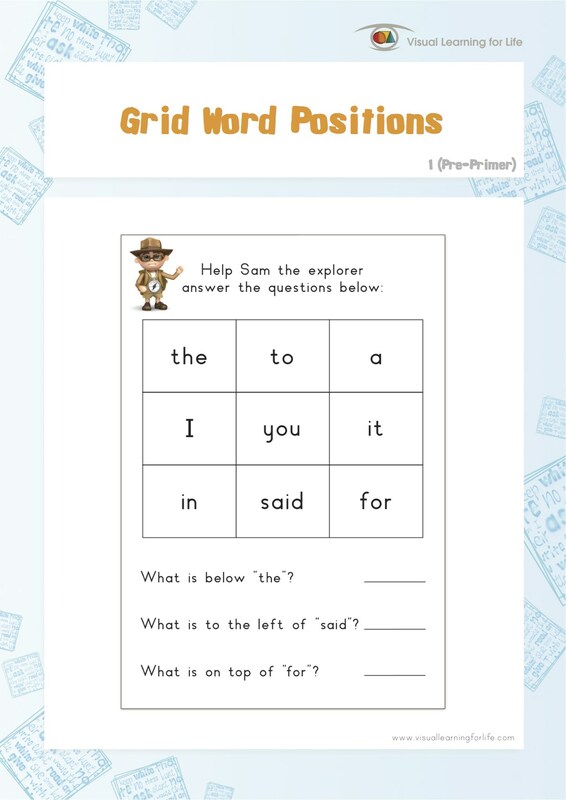 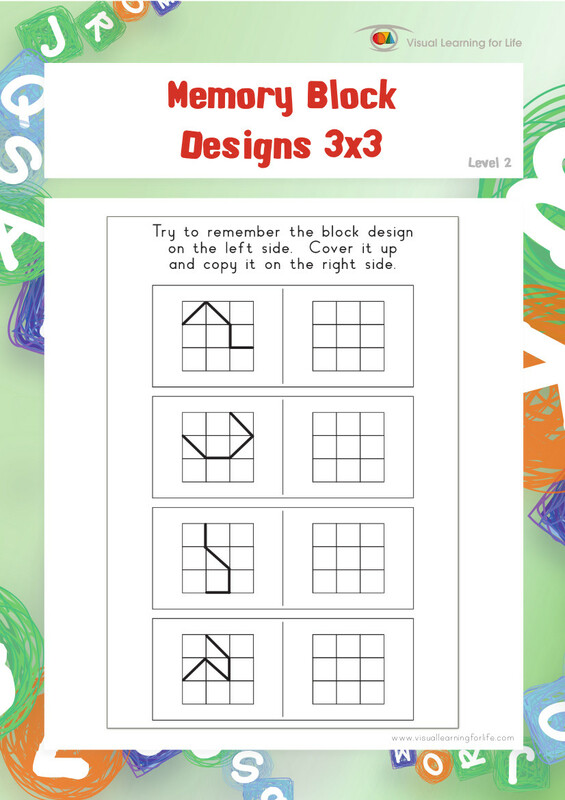 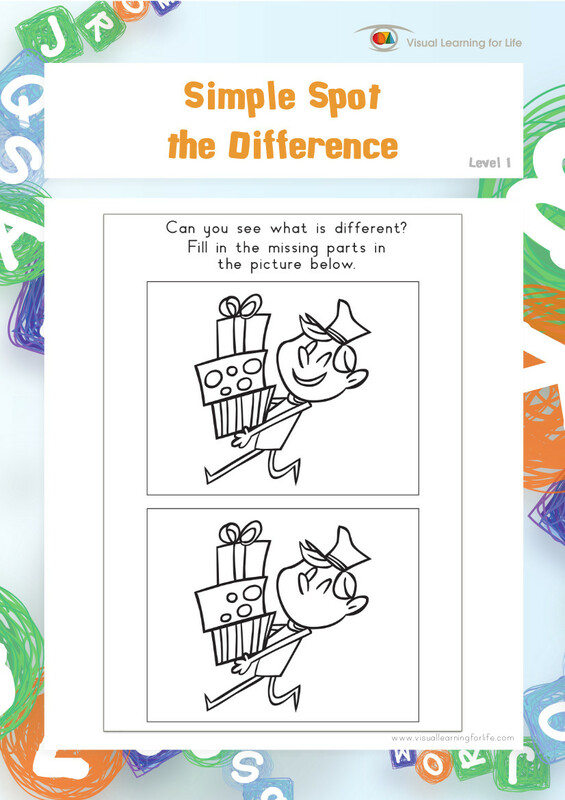 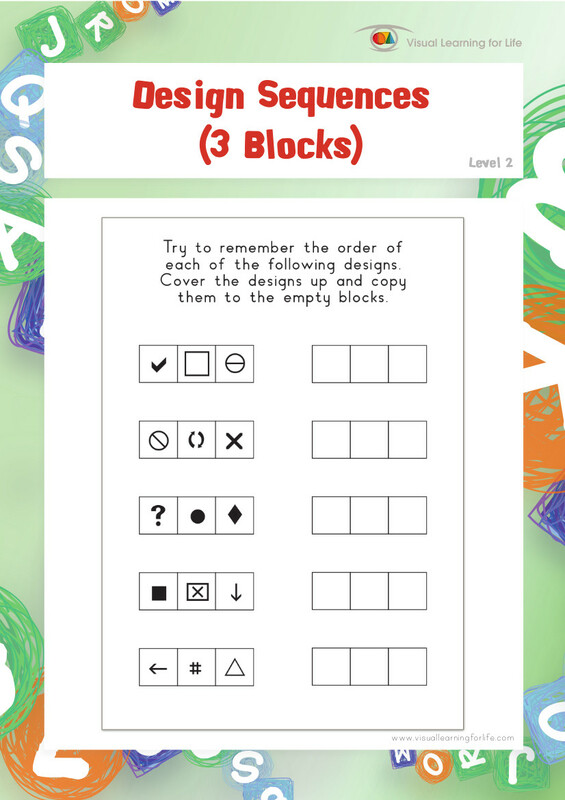 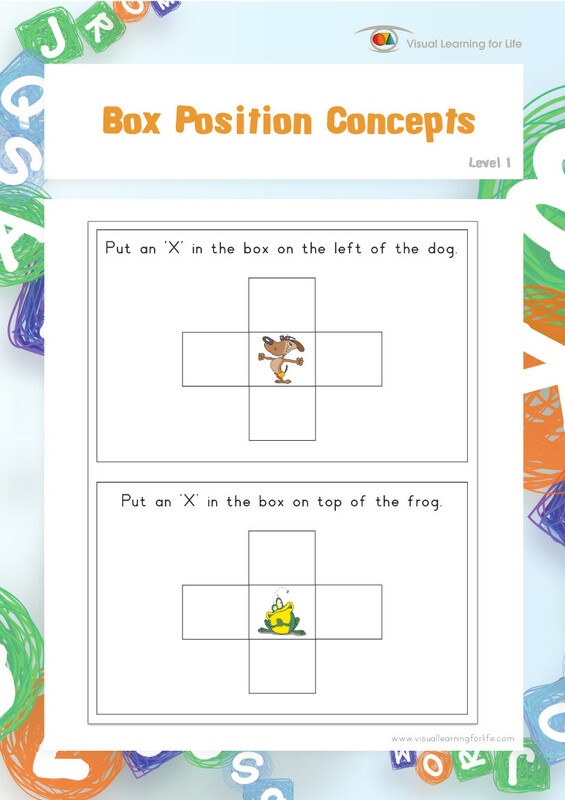 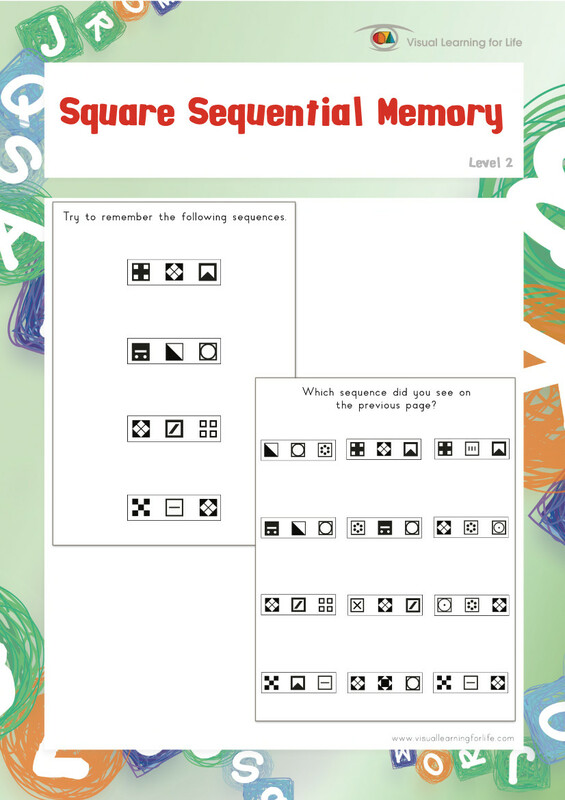 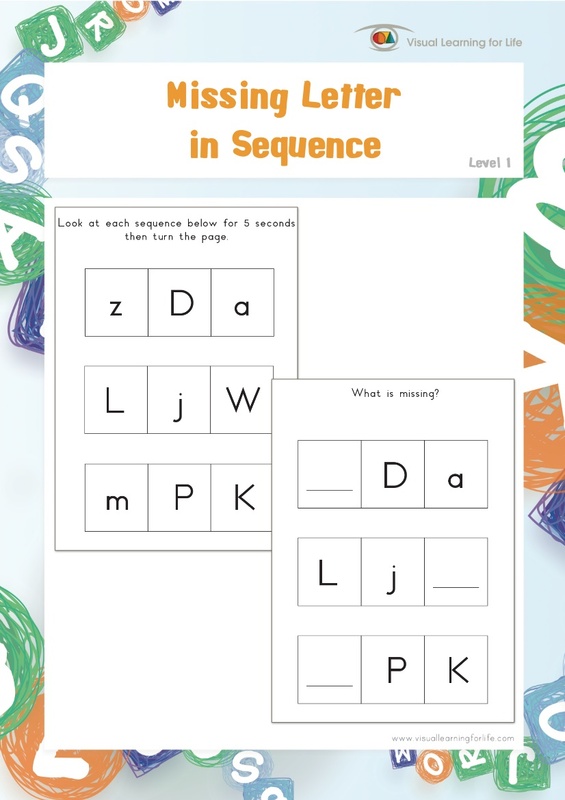 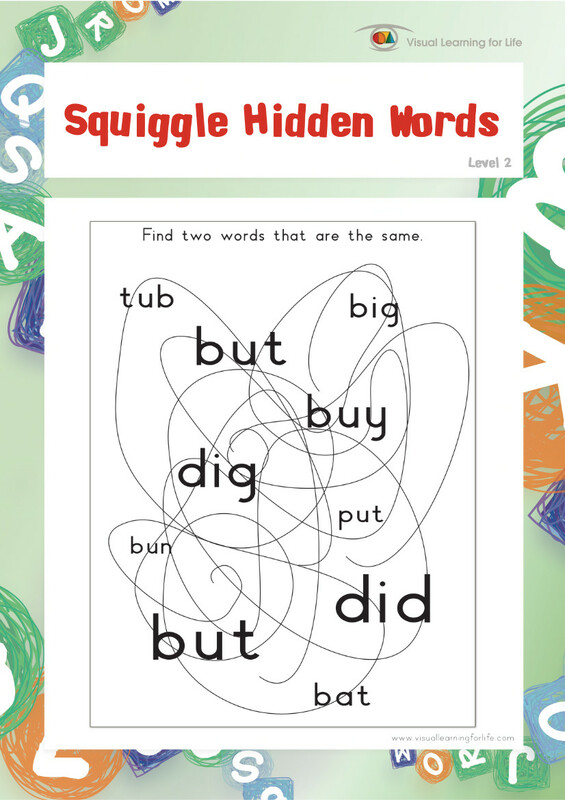 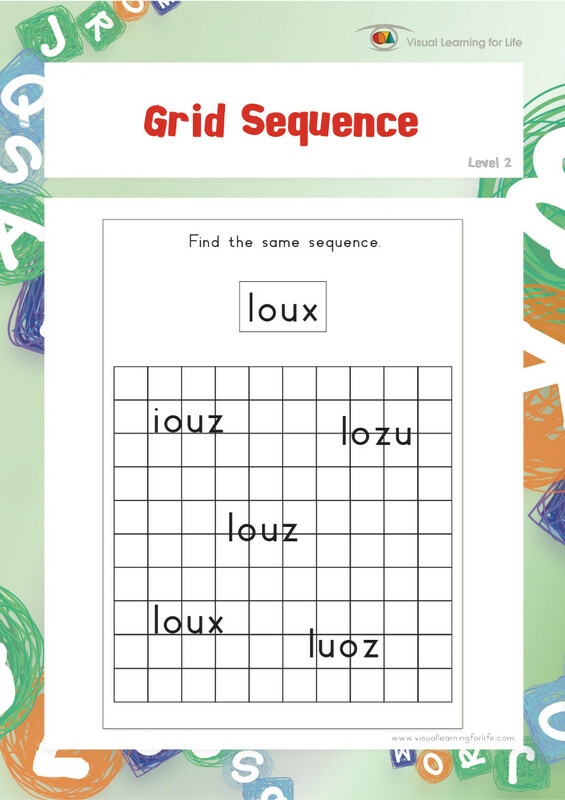 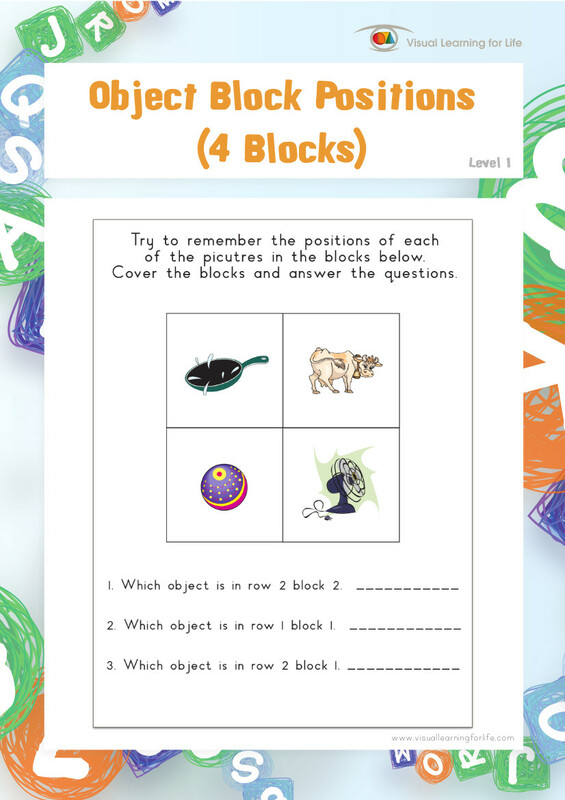 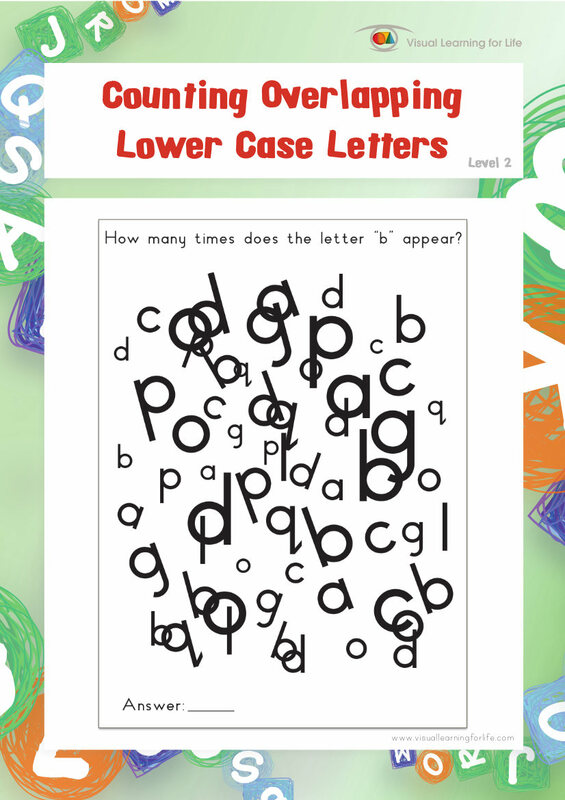 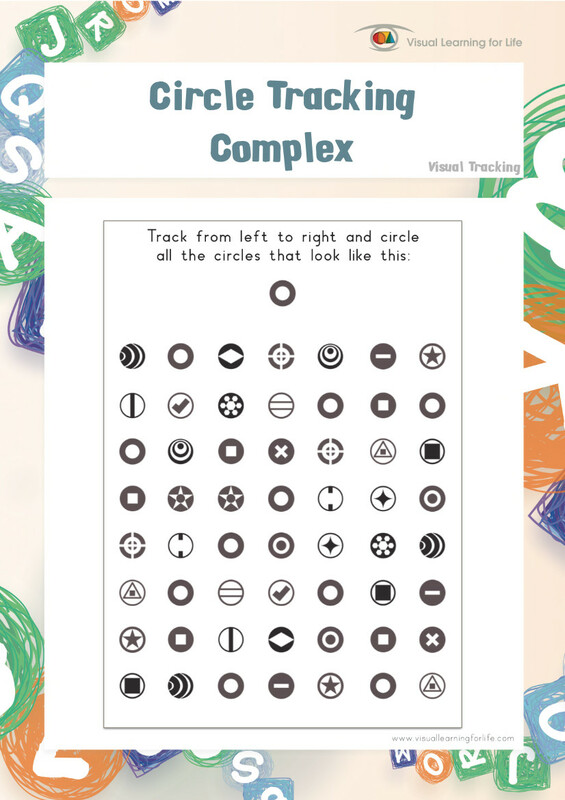 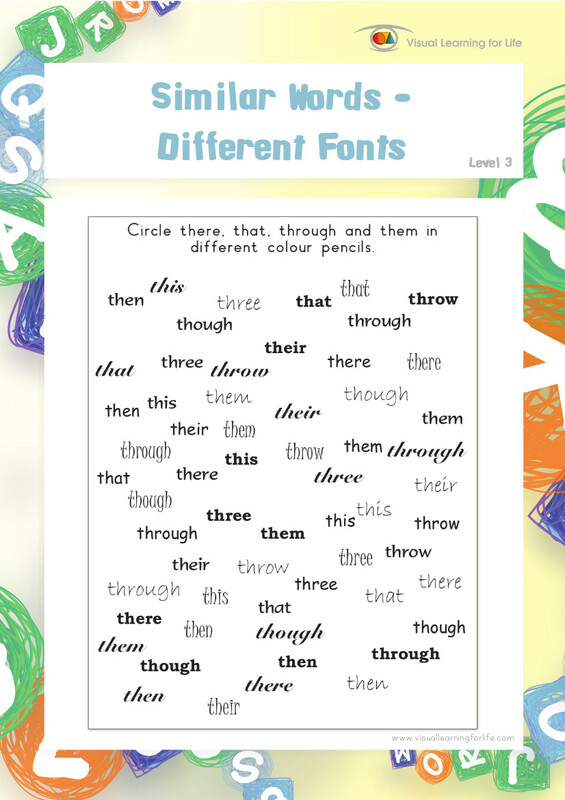 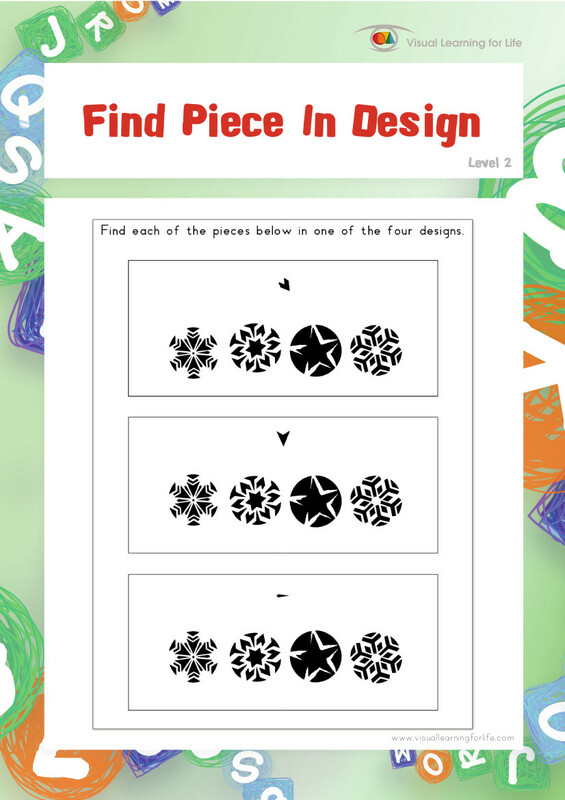 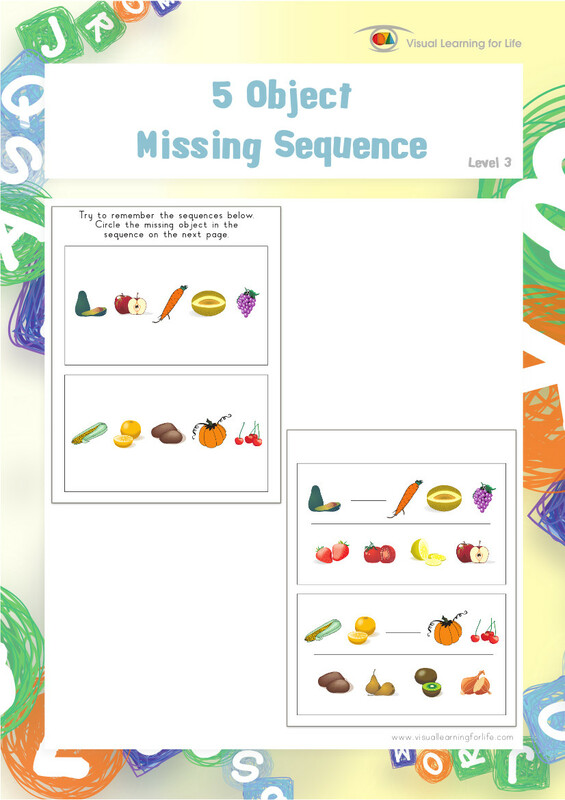 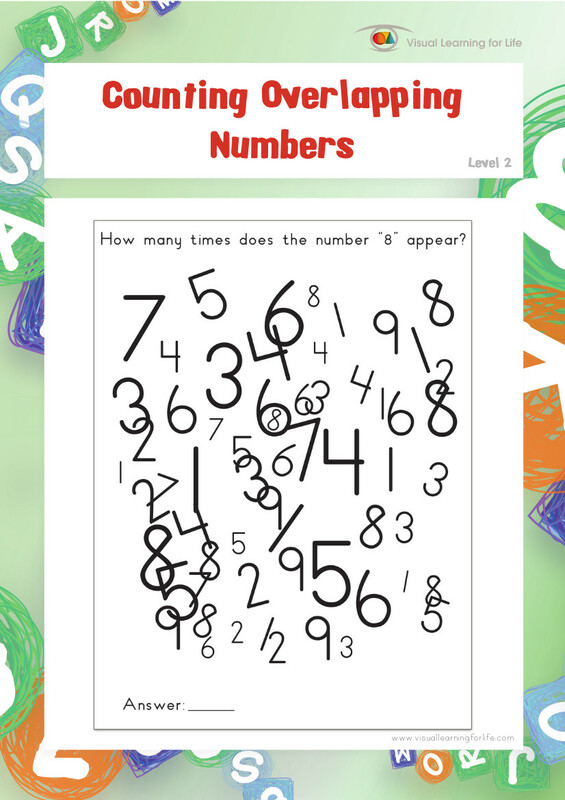 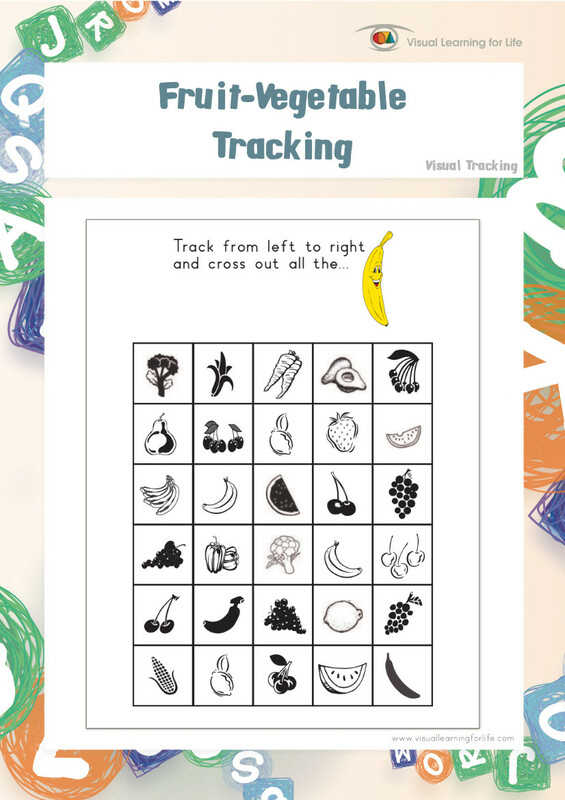 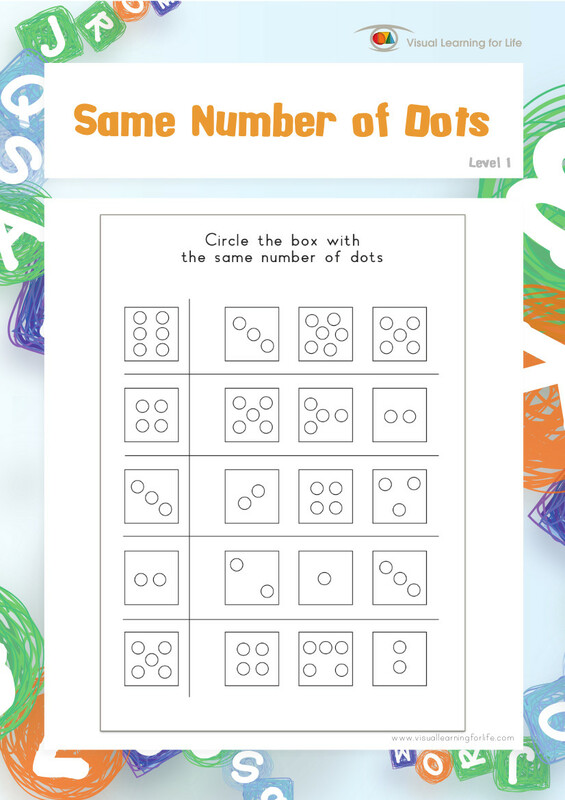 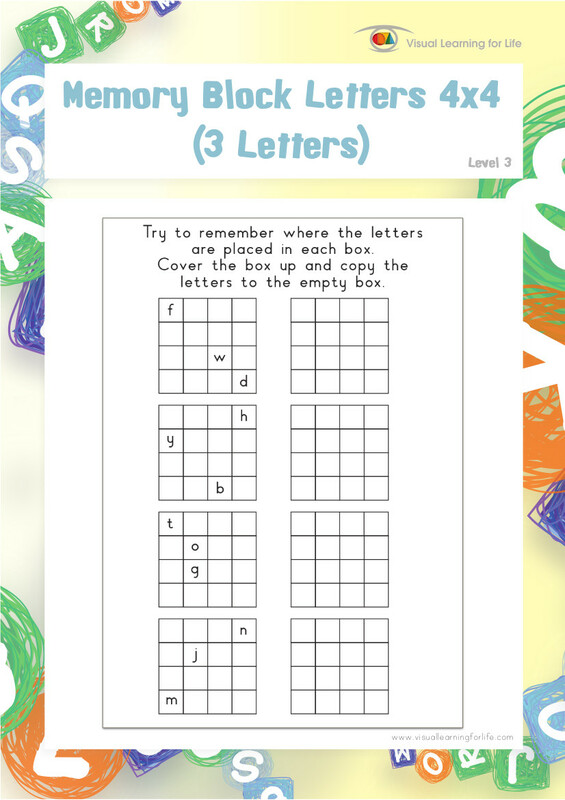 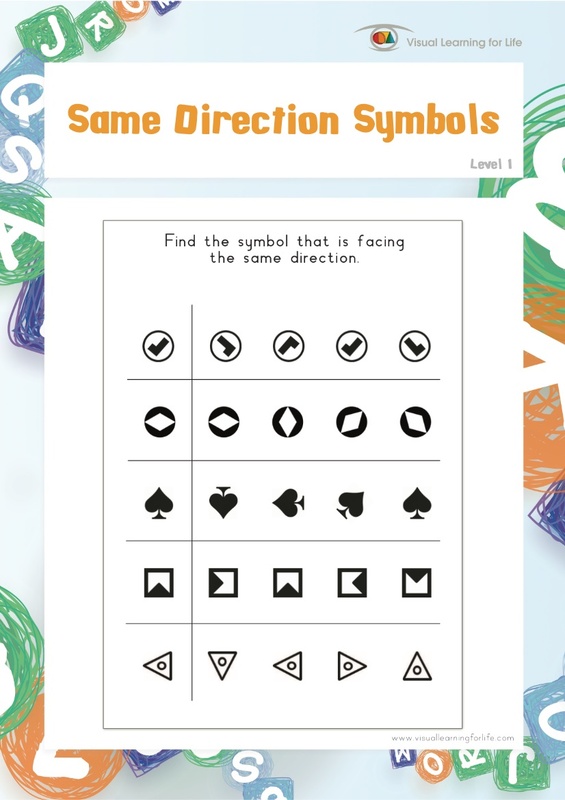 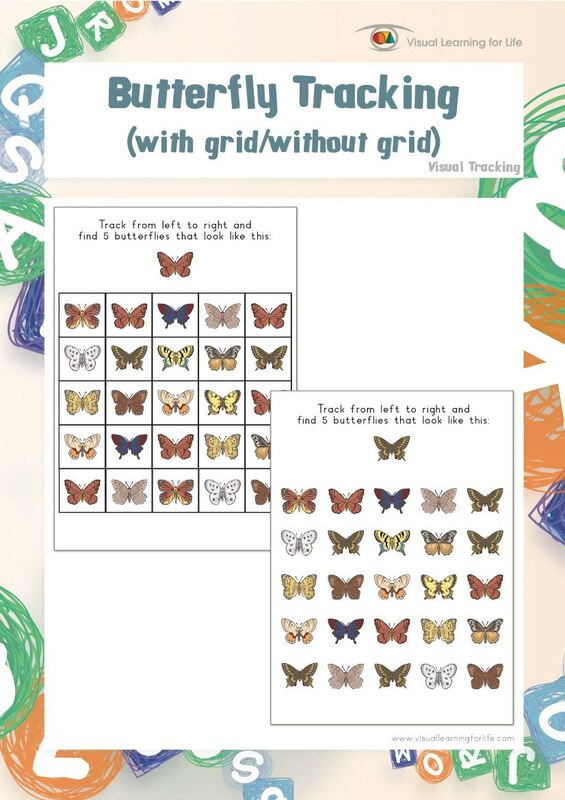 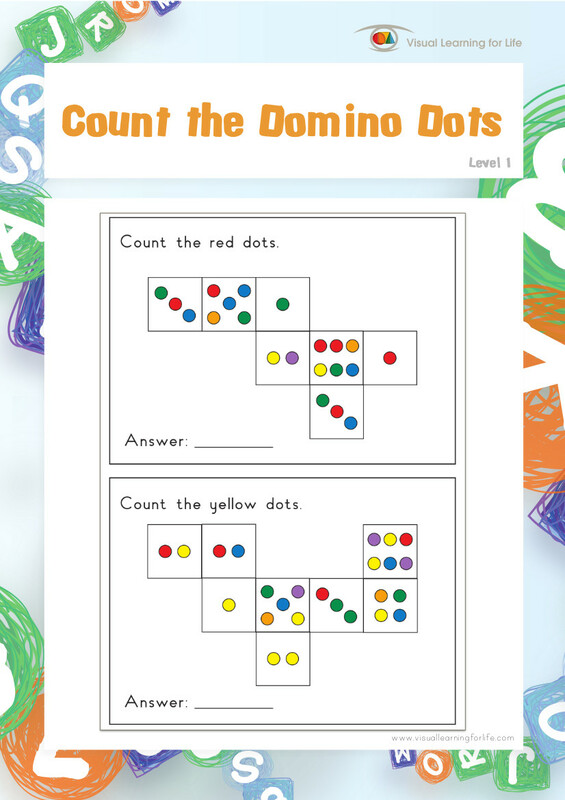 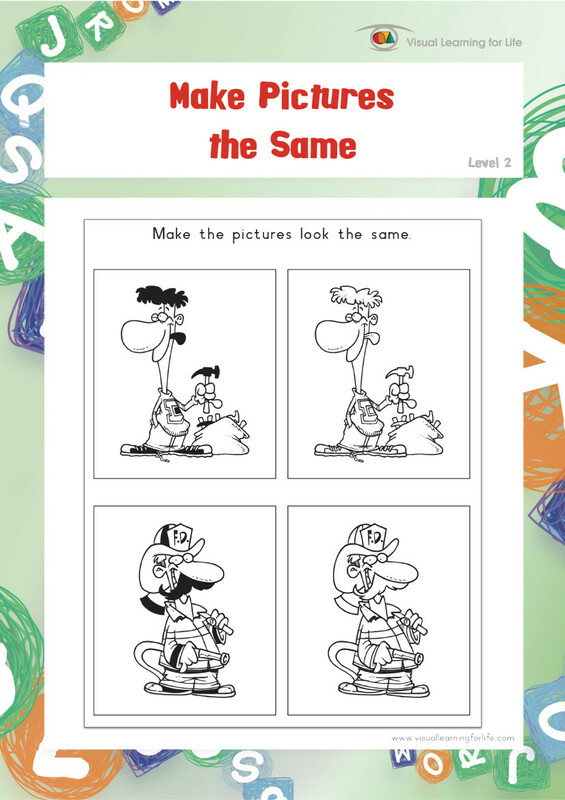 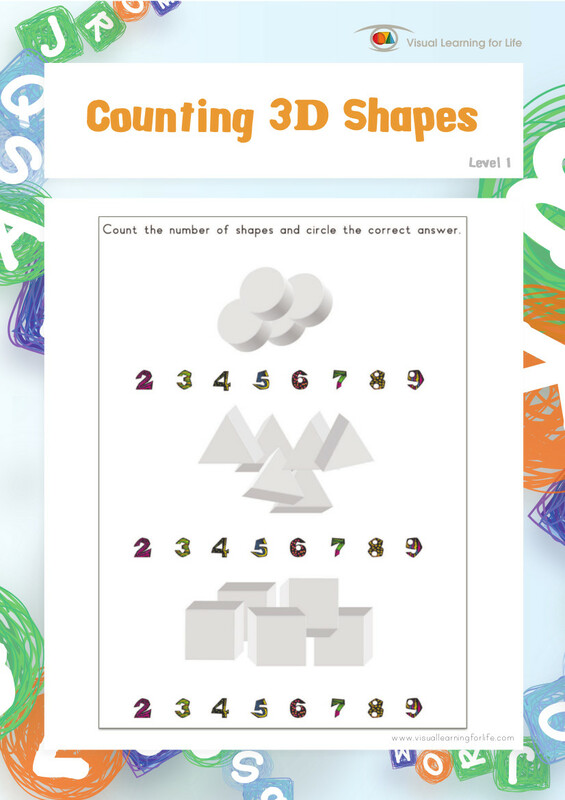 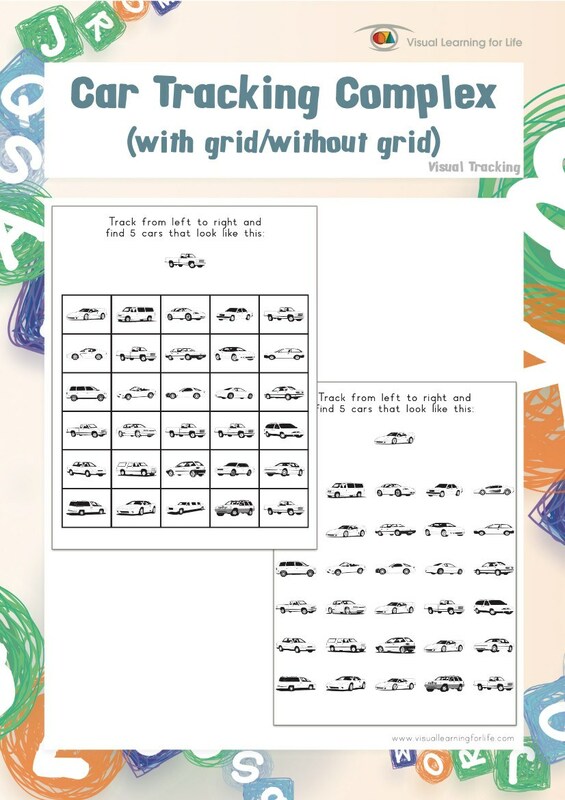 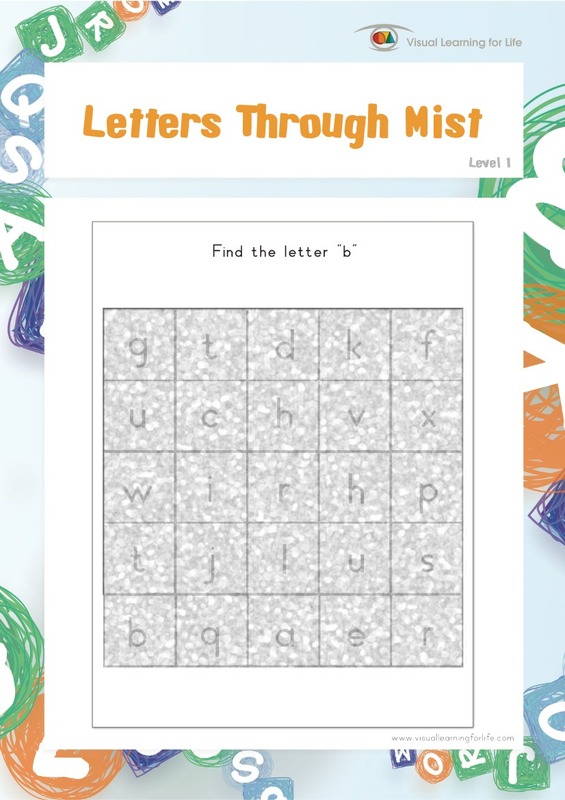 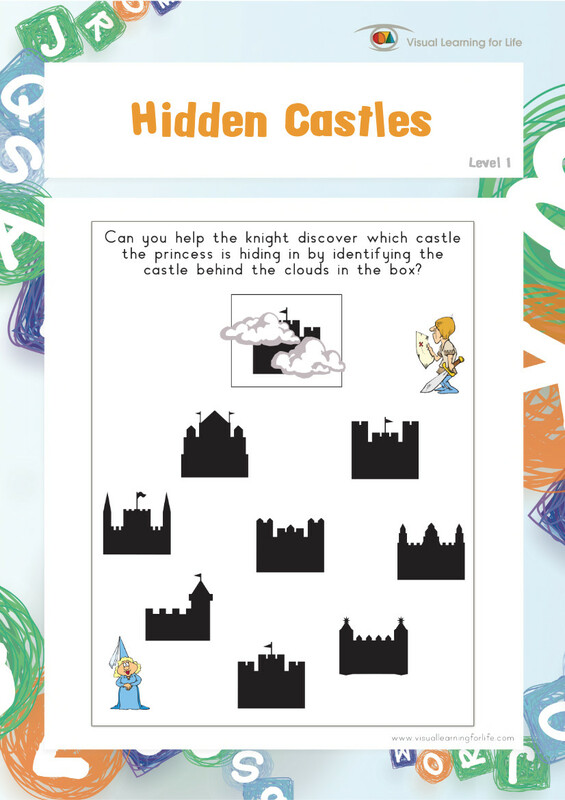 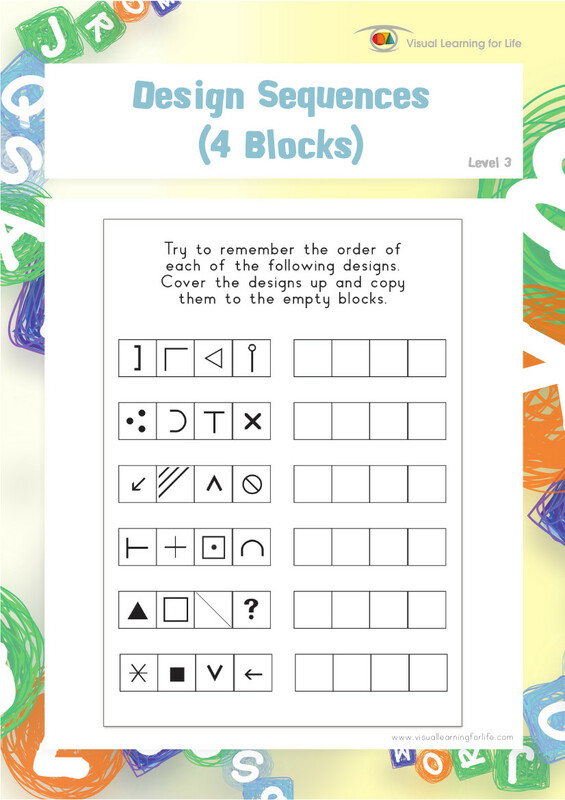 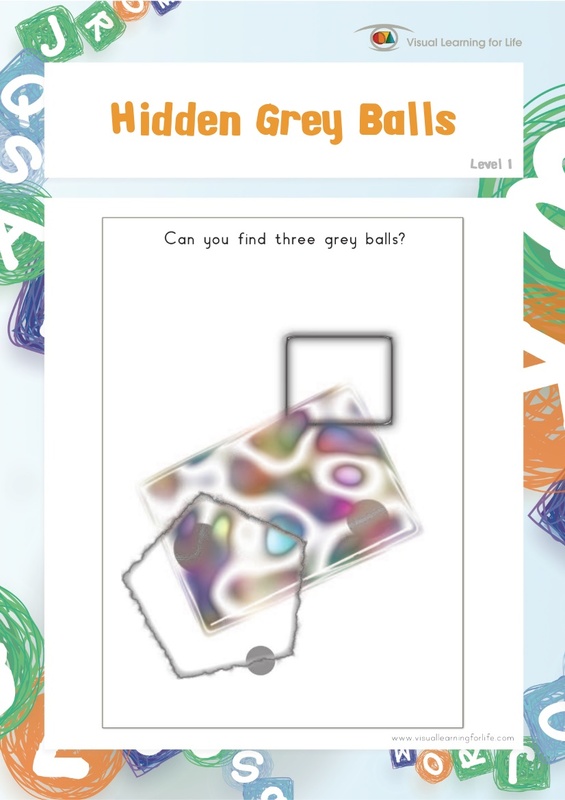 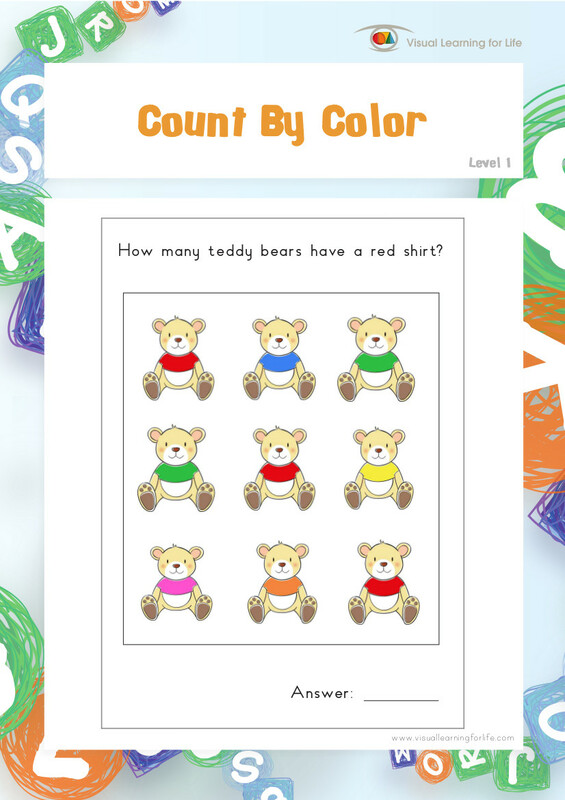 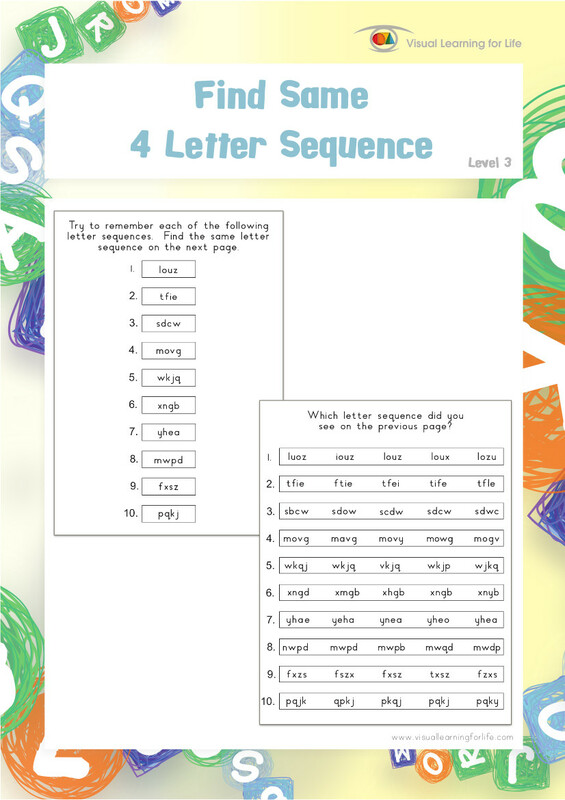 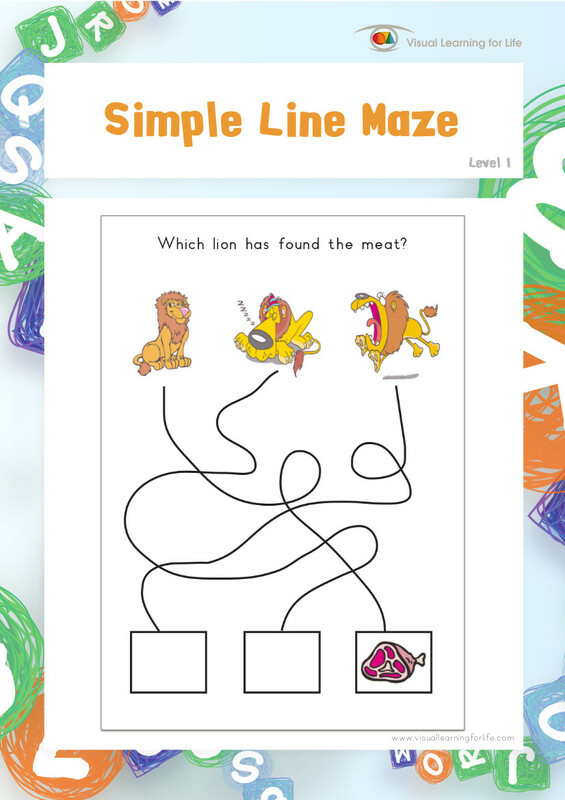 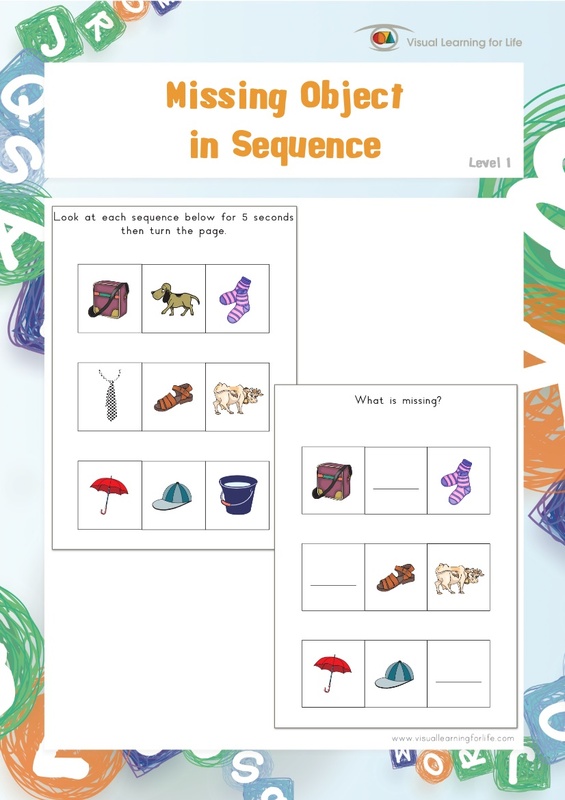 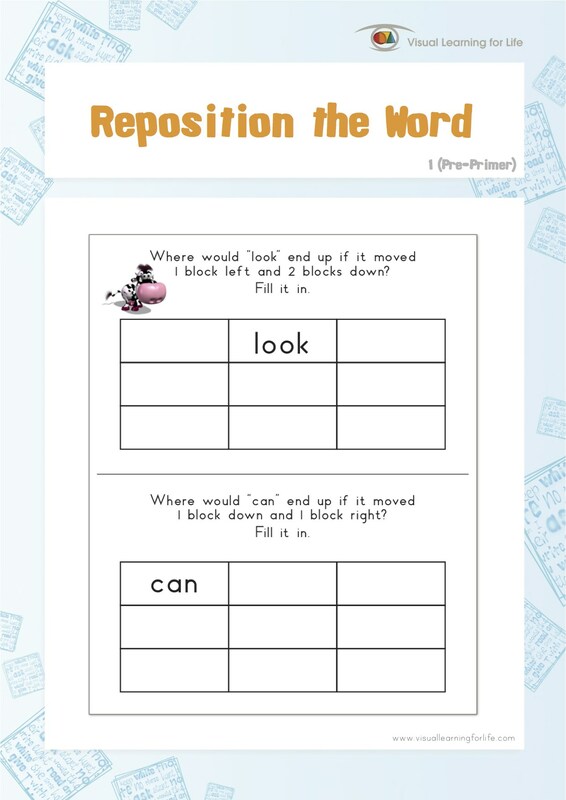 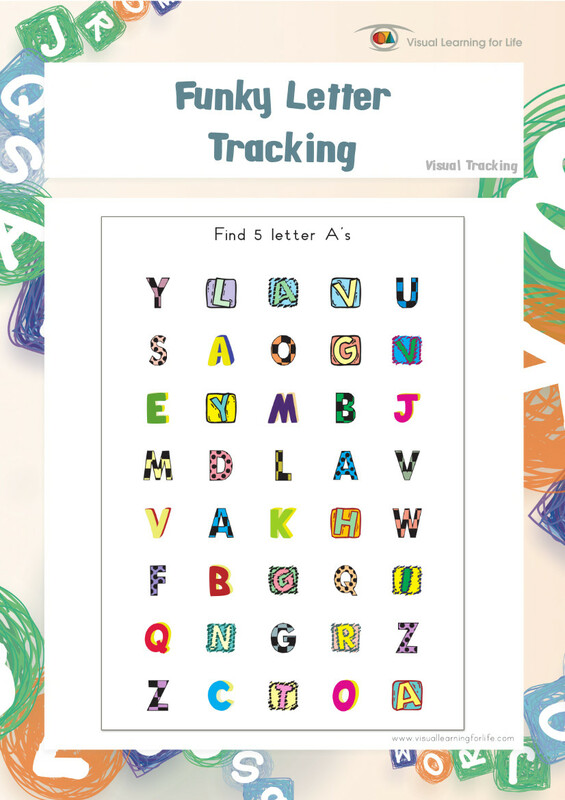 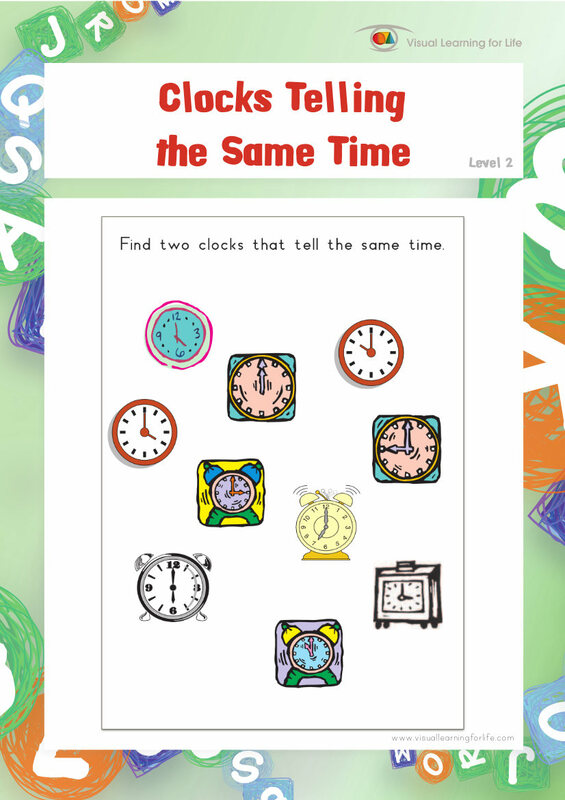 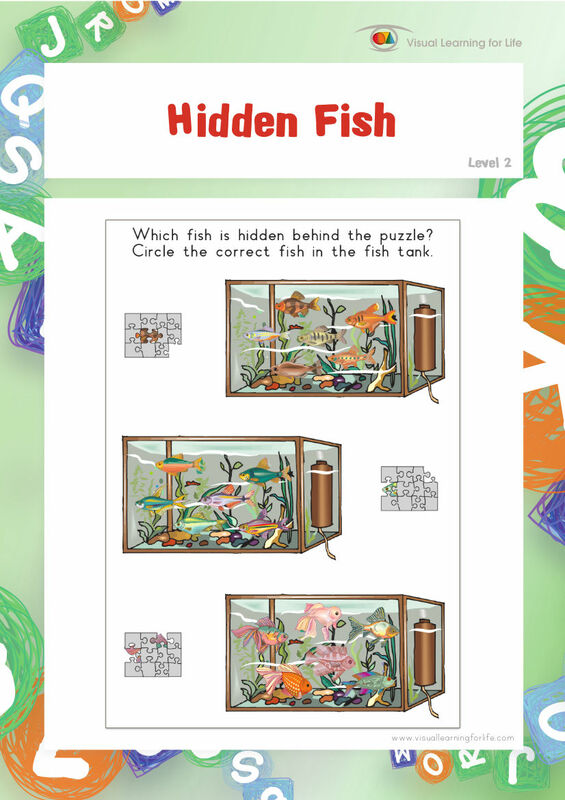 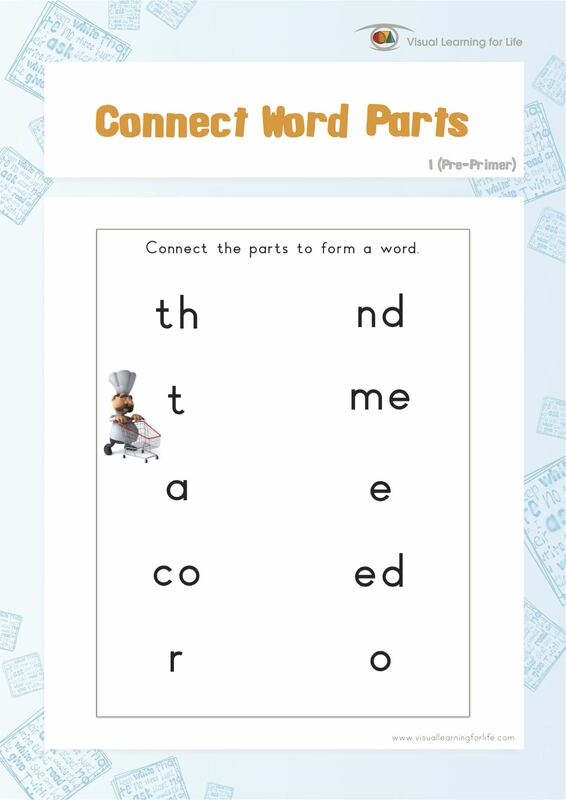 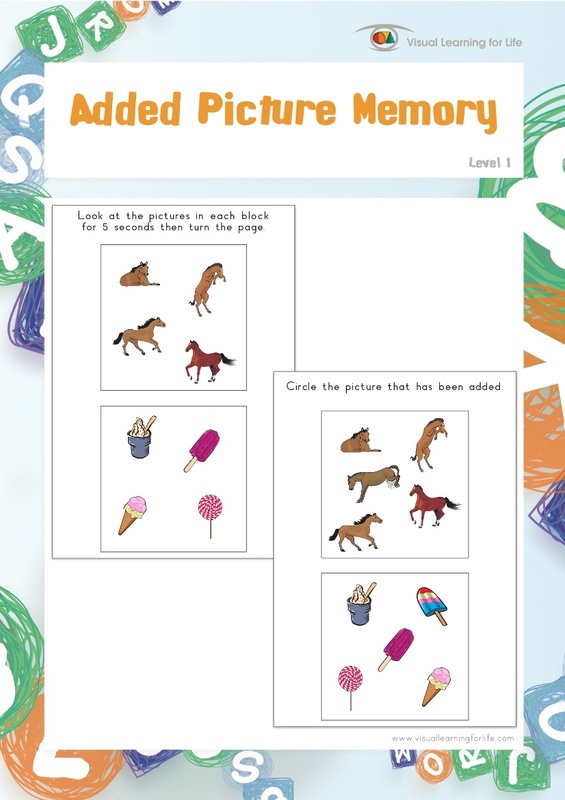 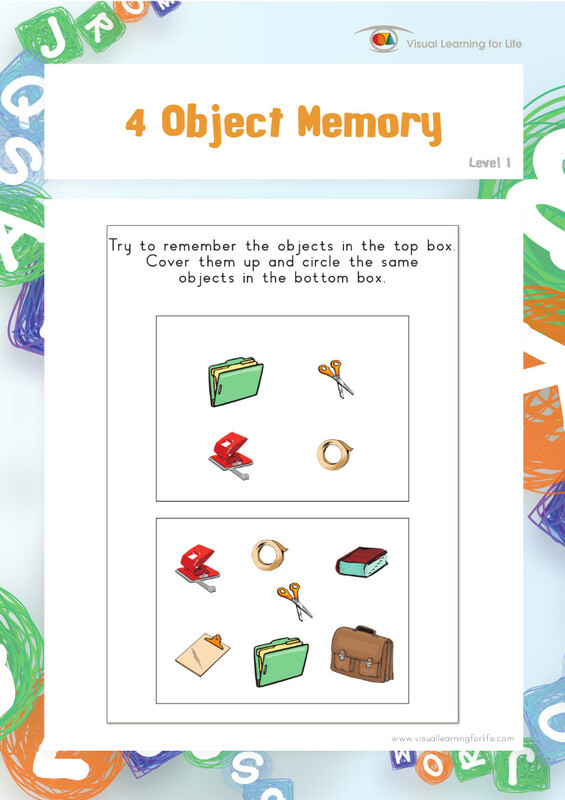 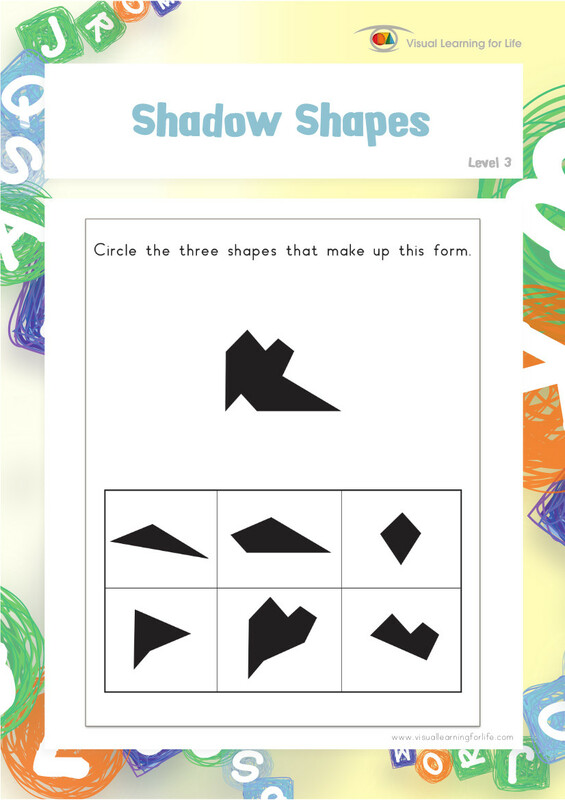 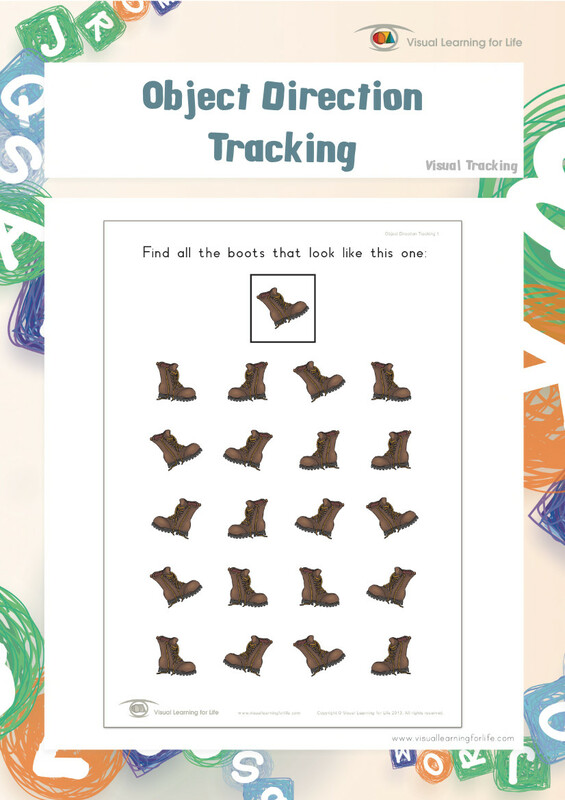 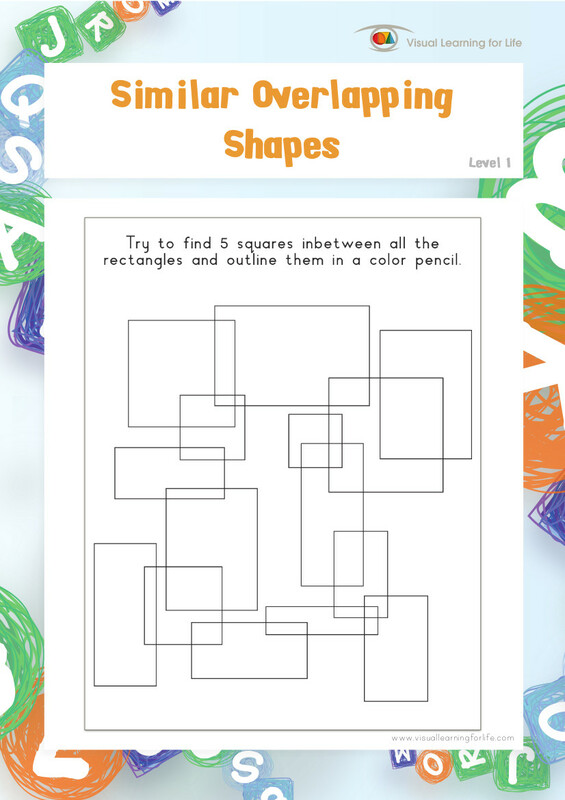 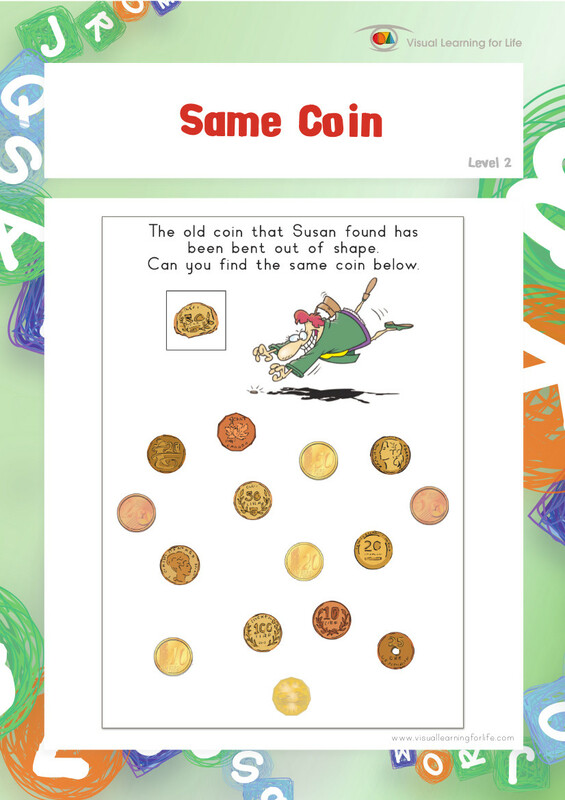 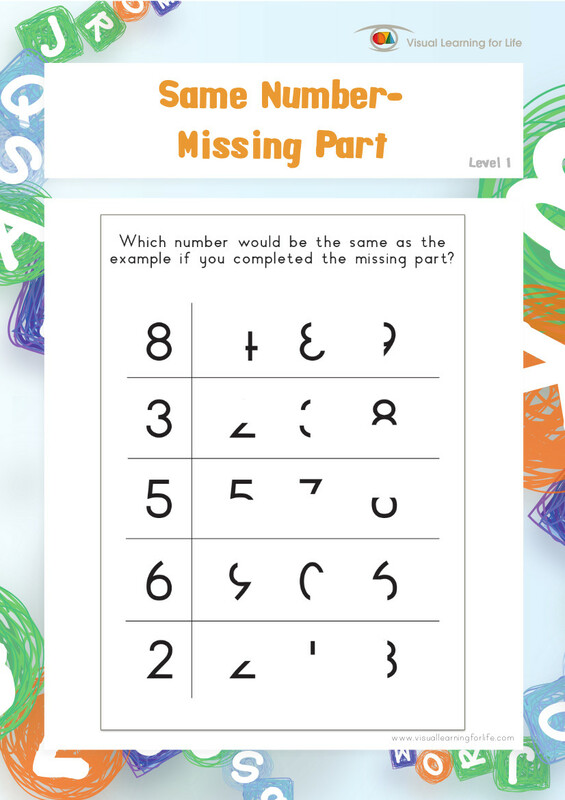 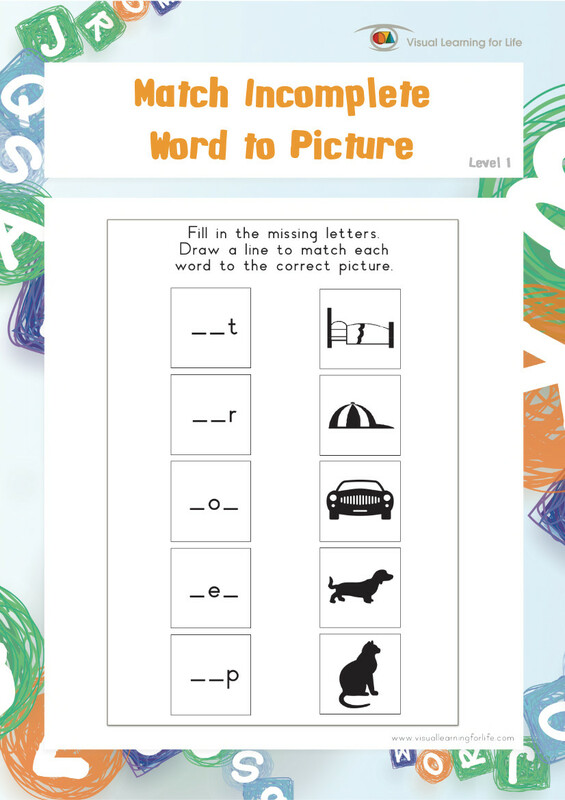 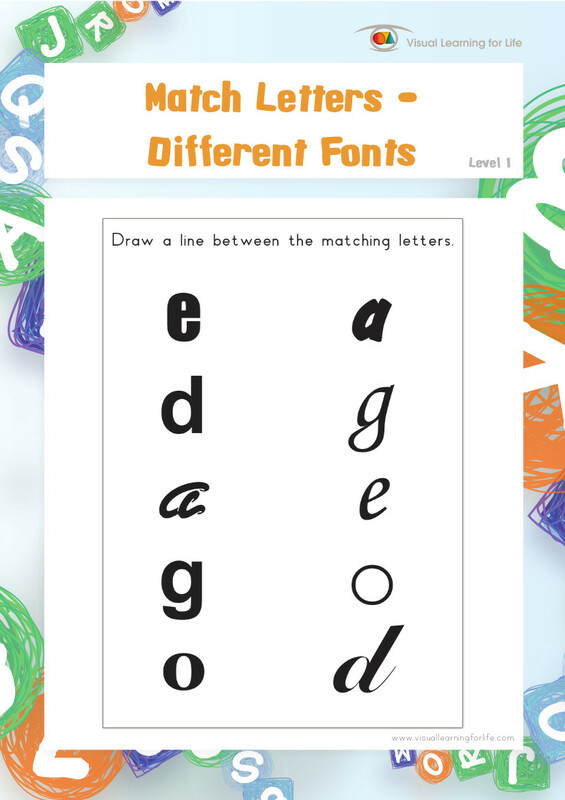 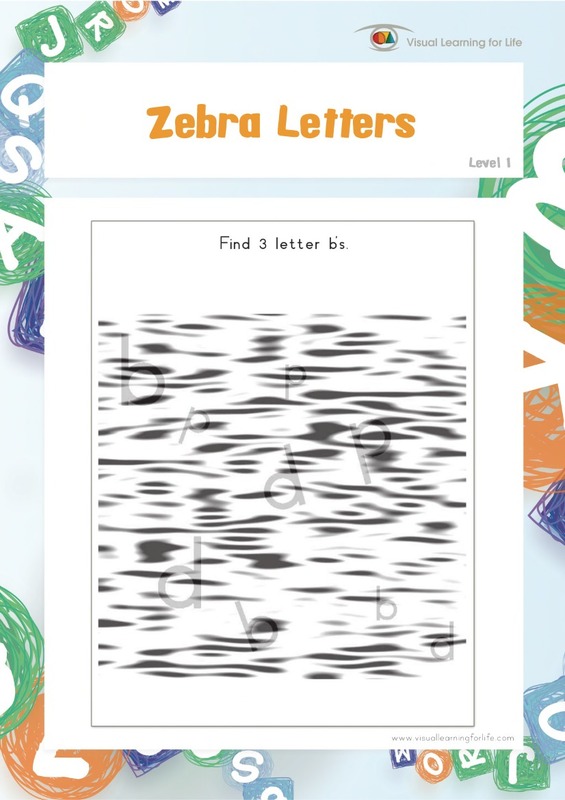 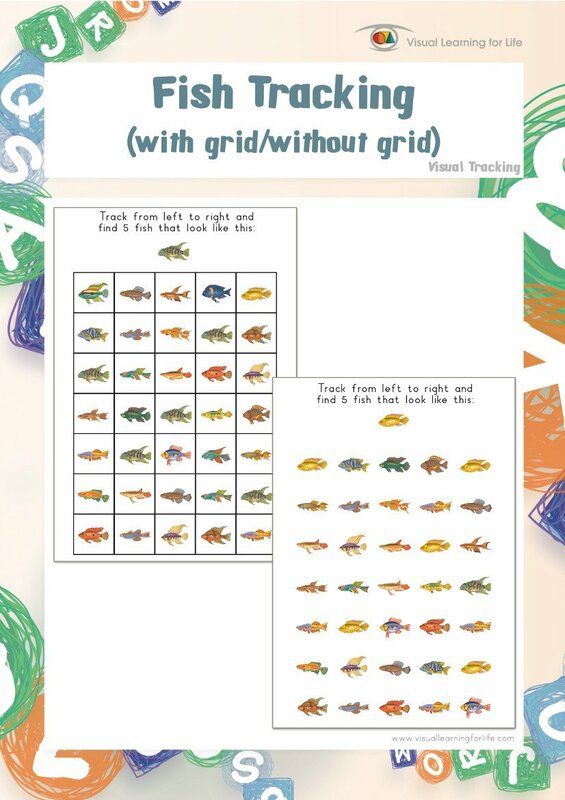 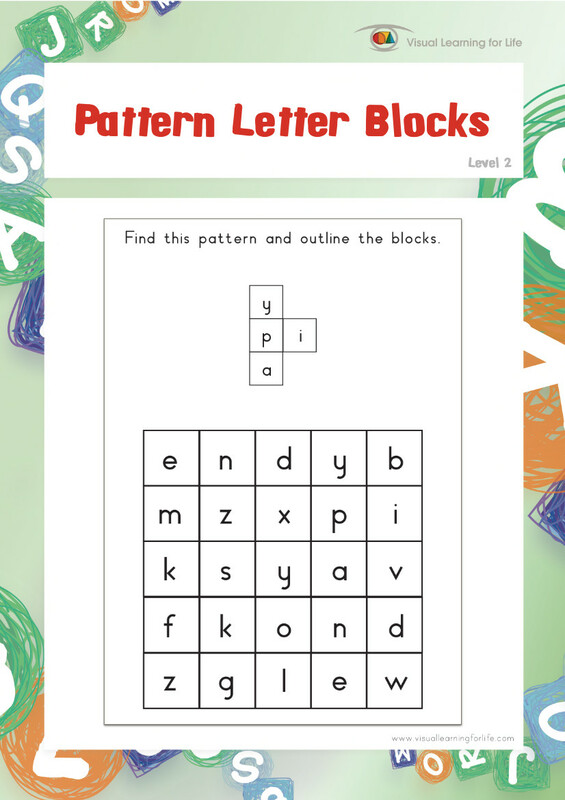 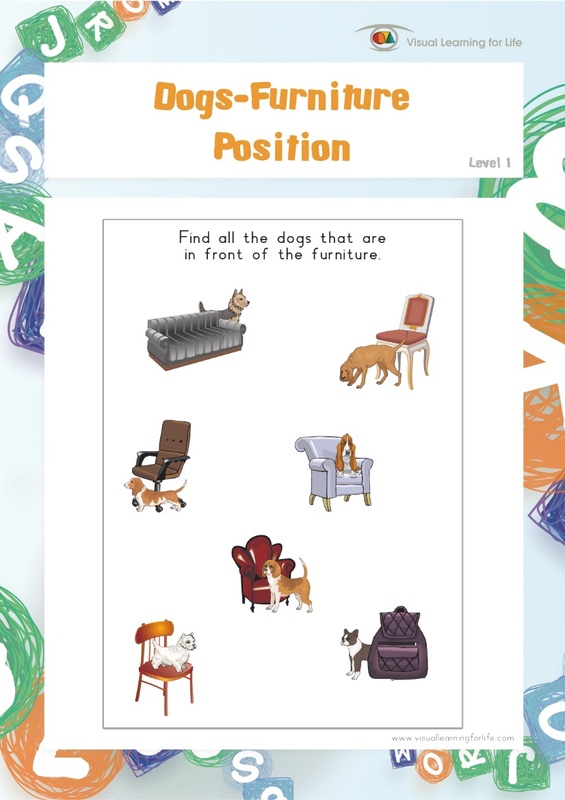 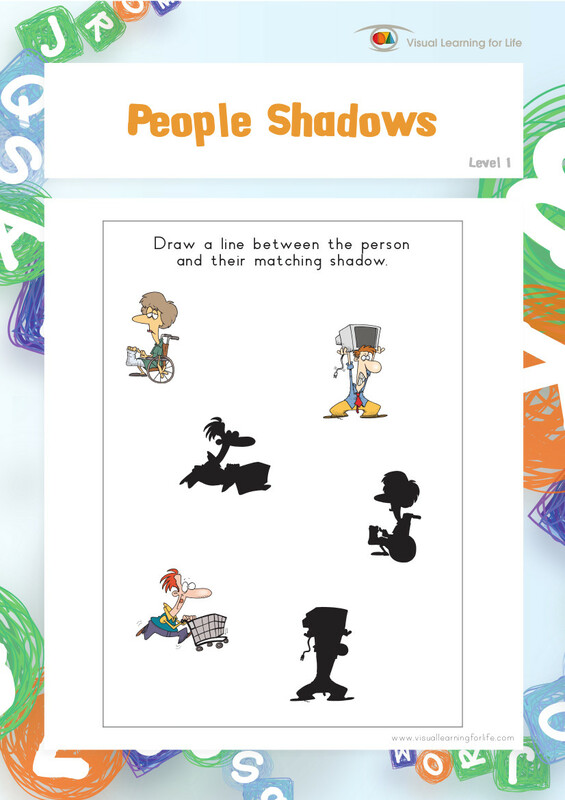 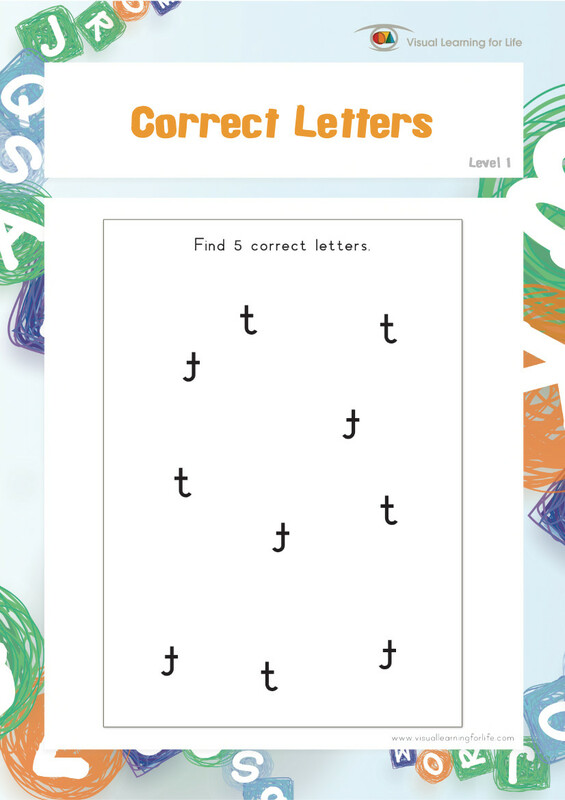 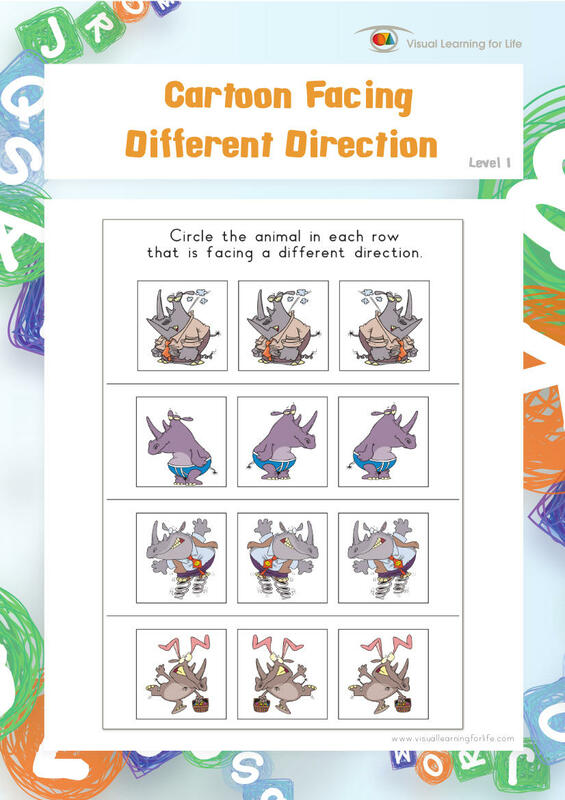 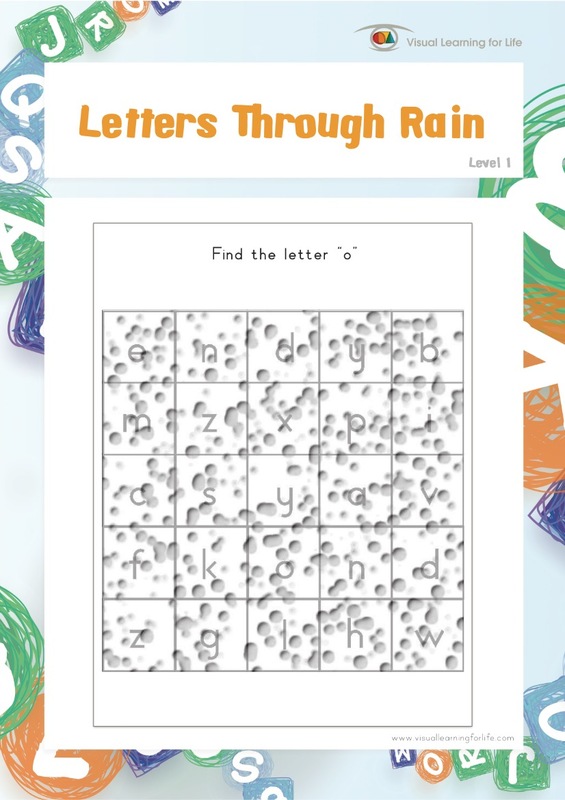 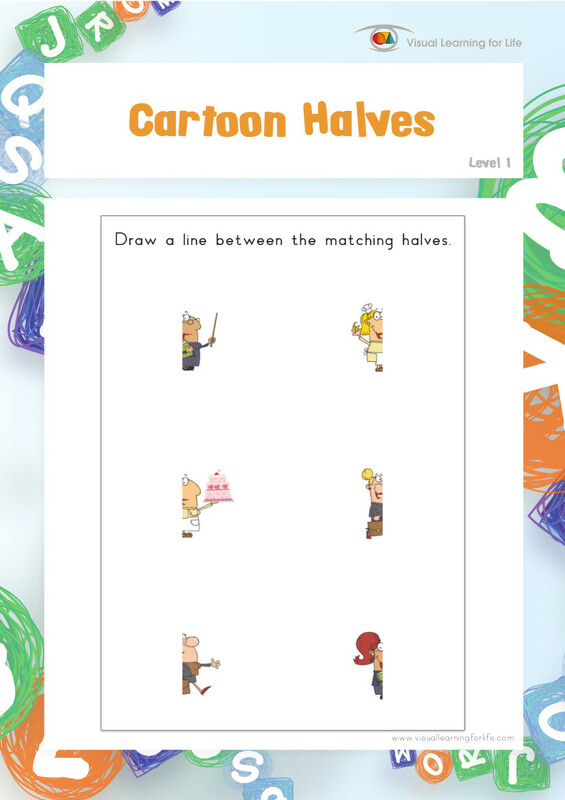 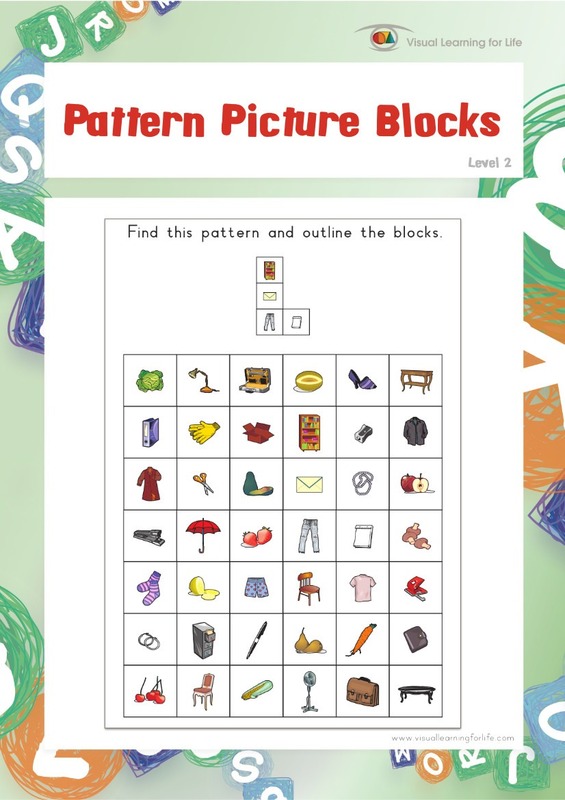 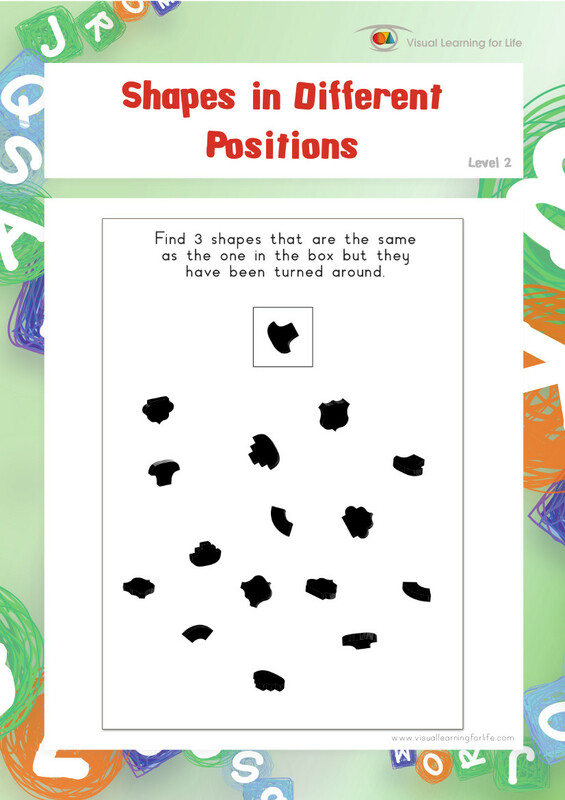 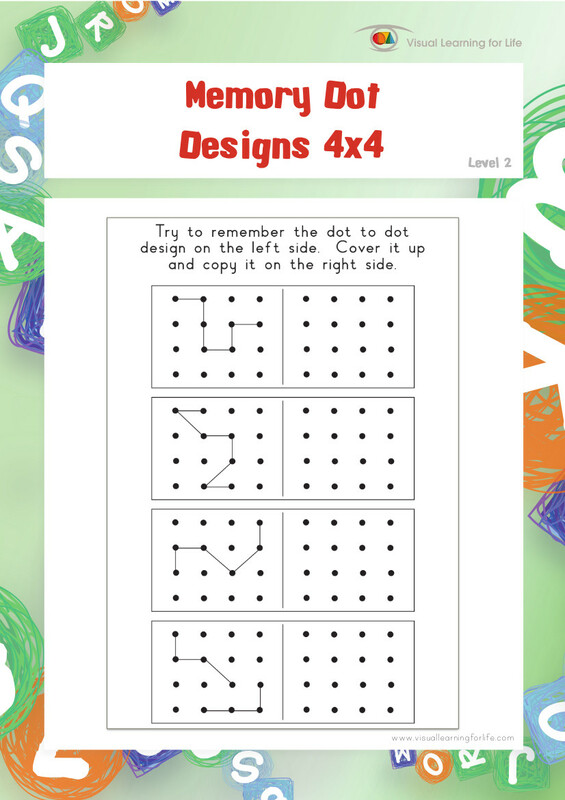 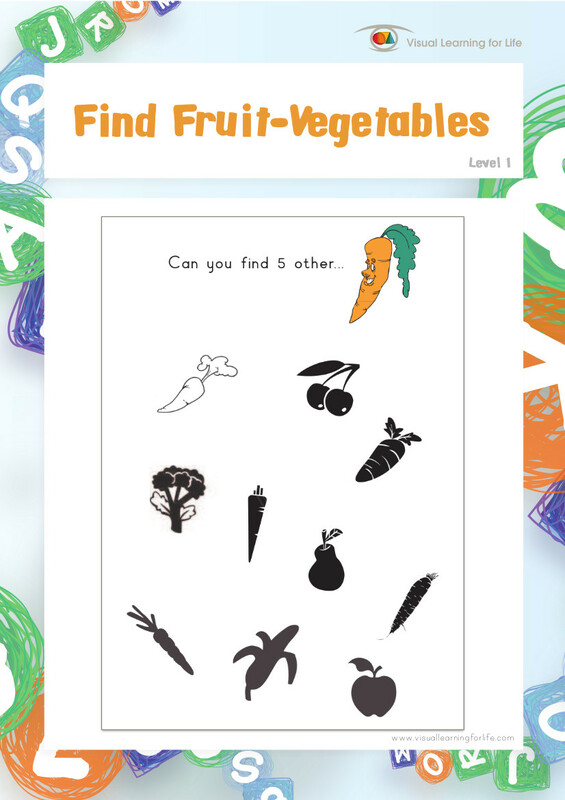 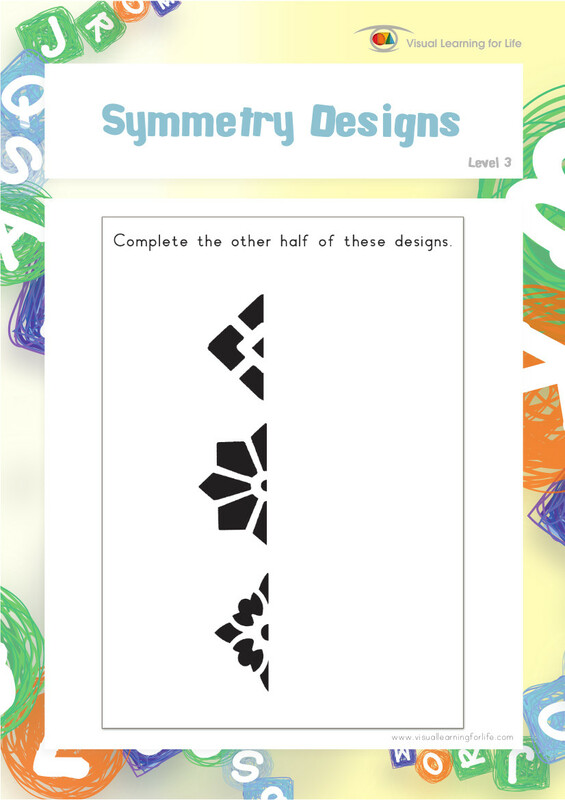 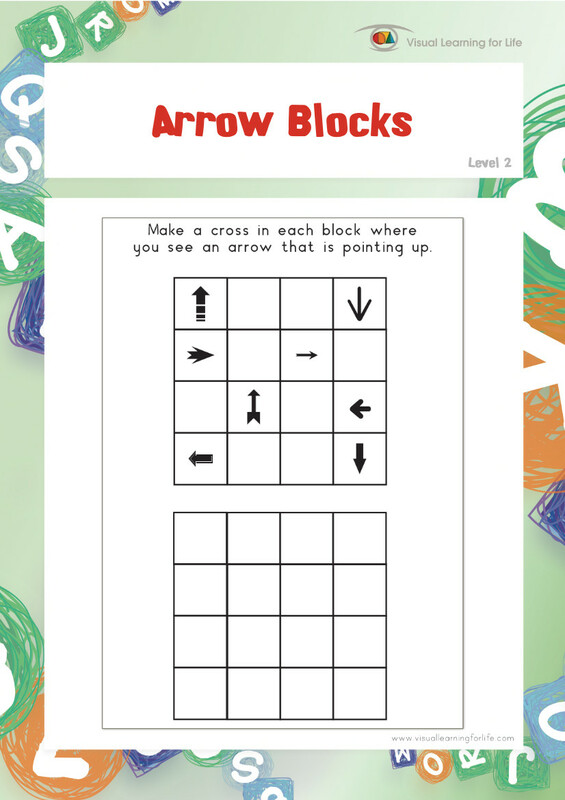 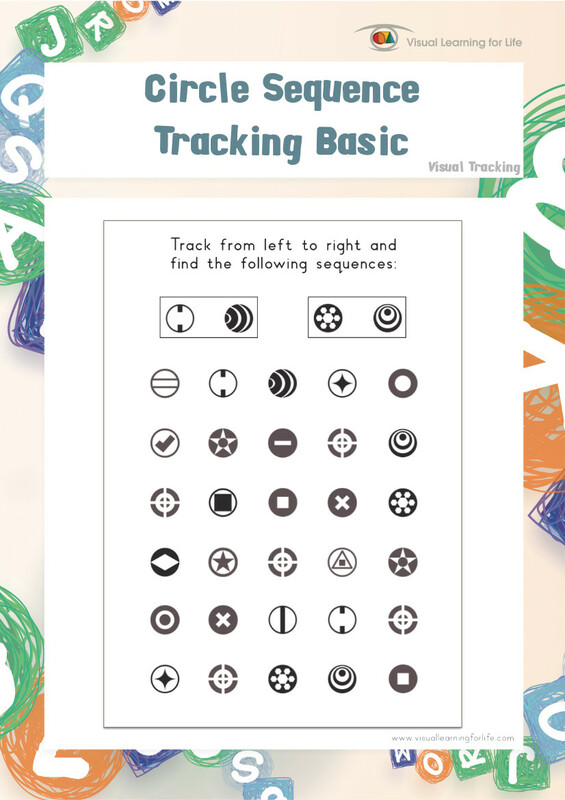 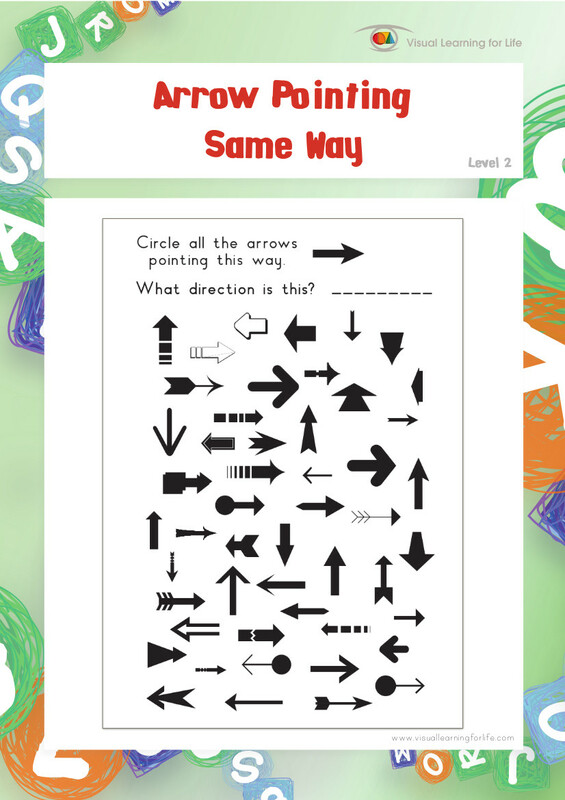 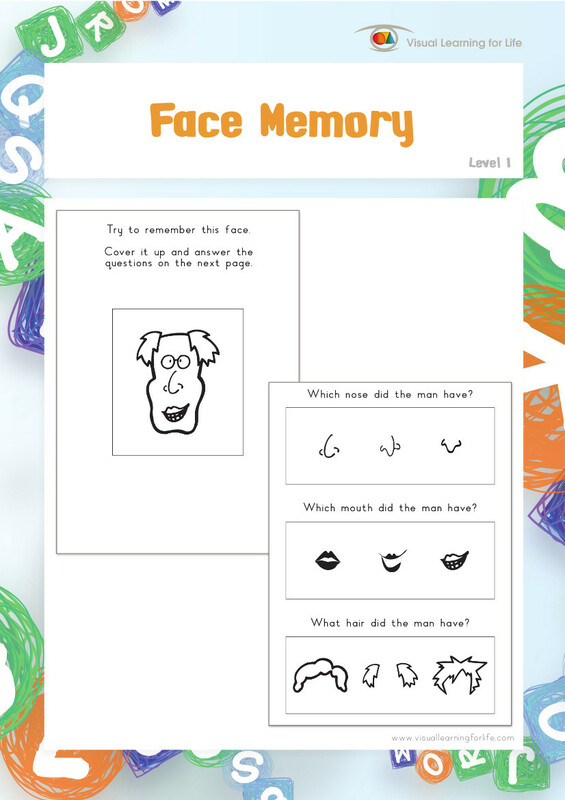 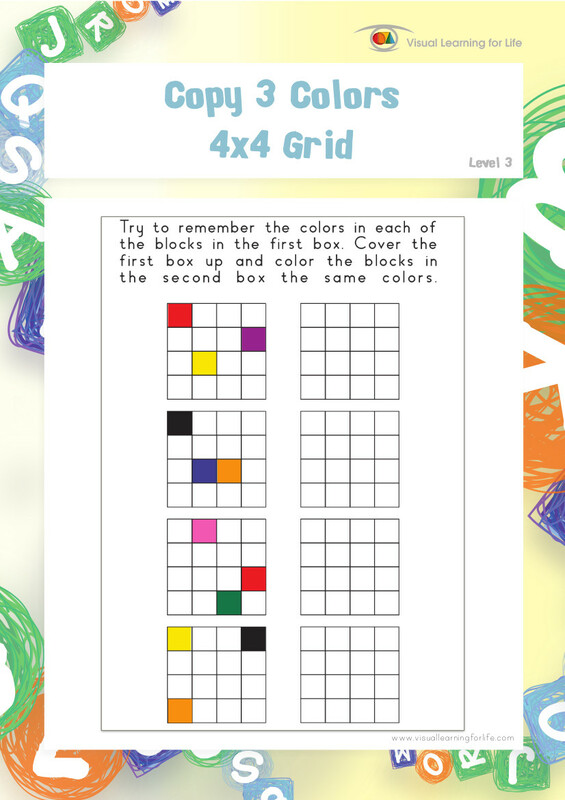 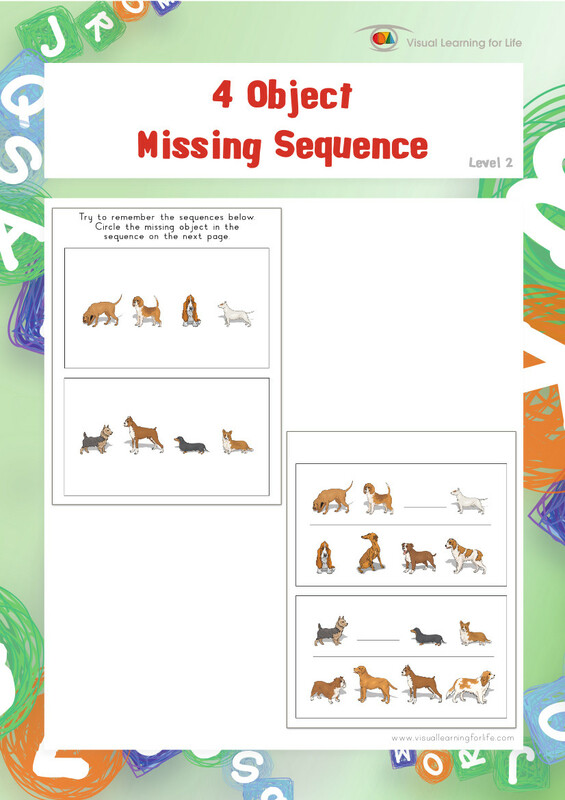 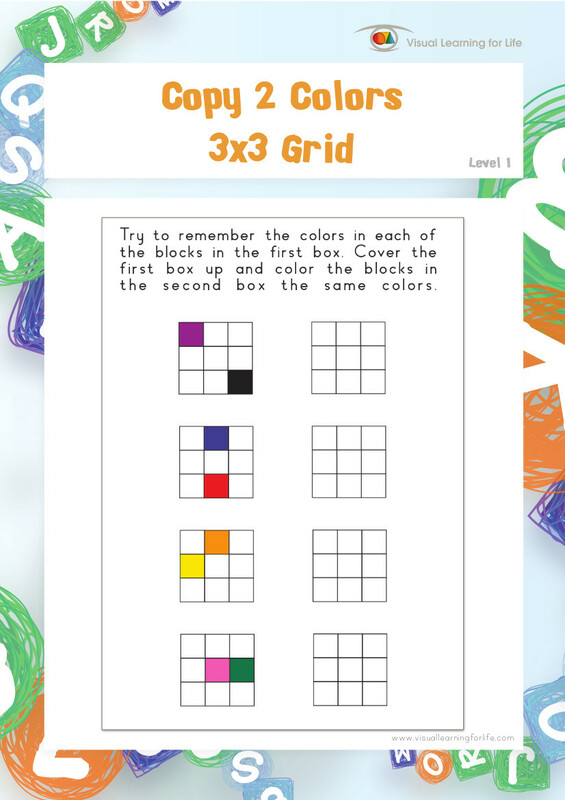 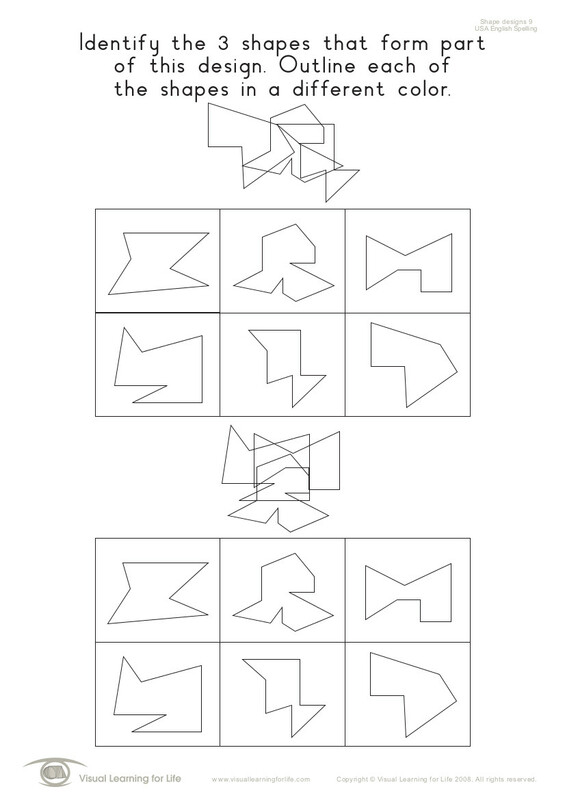 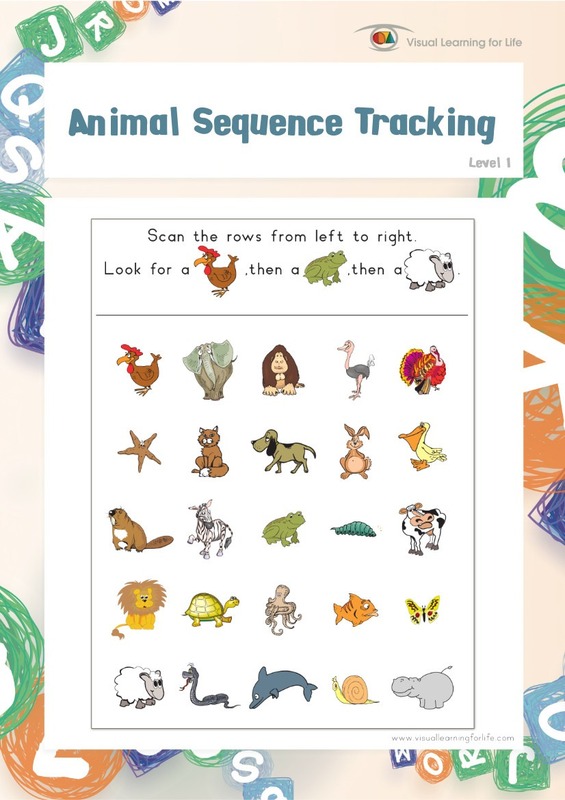 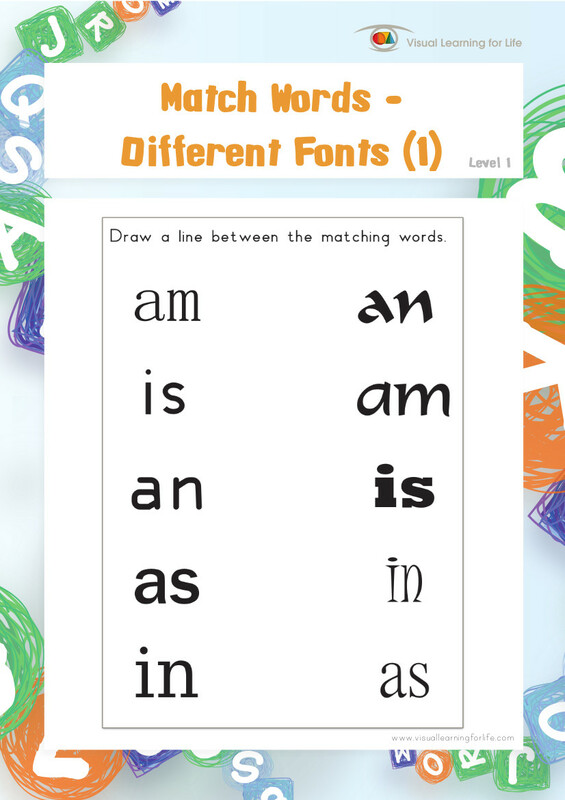 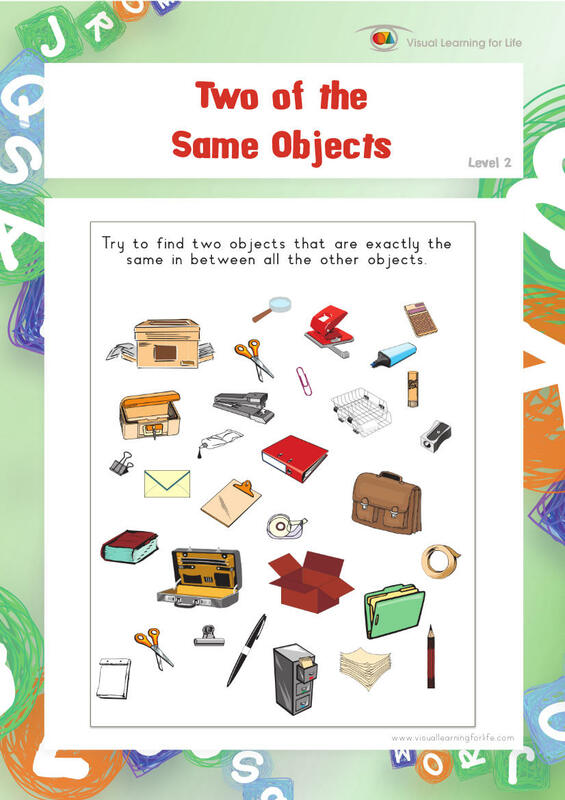 In the “Shape Designs” worksheets, the student must recognize which shapes fit together to form the shape design (see how the “pieces” form a “whole”). 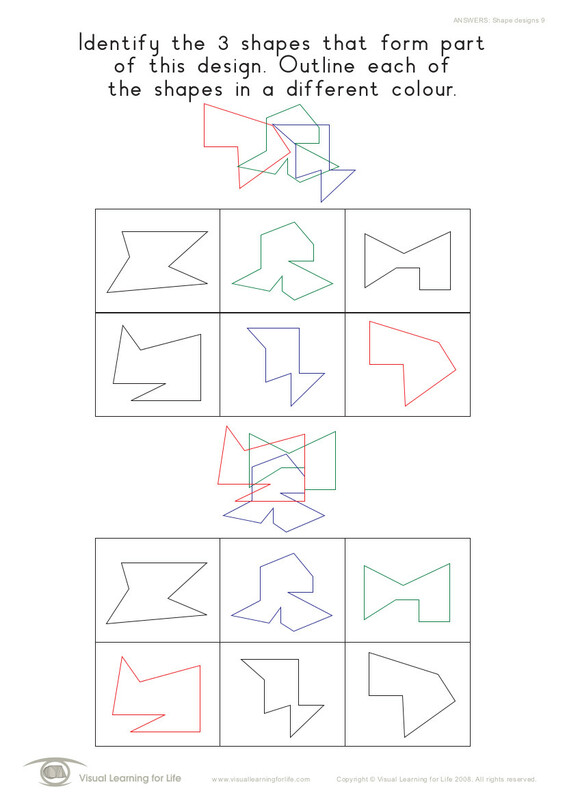 Figure Ground perception is the ability to screen out any irrelevant visual material when presented with a lot of visual information at one time (to locate the important stimulus without getting confused by the background or surrounding images). This skill is key for good attention and concentration. 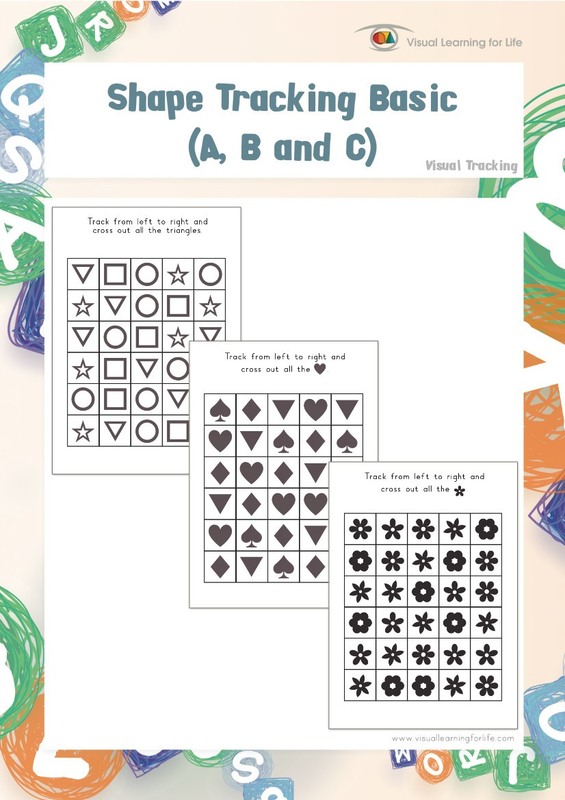 To complete the “Shape Designs” worksheets successfully, the student must follow the outlines of each of the shapes in the design in turn, in order to identify them correctly (not get confused by the other overlapping shapes). 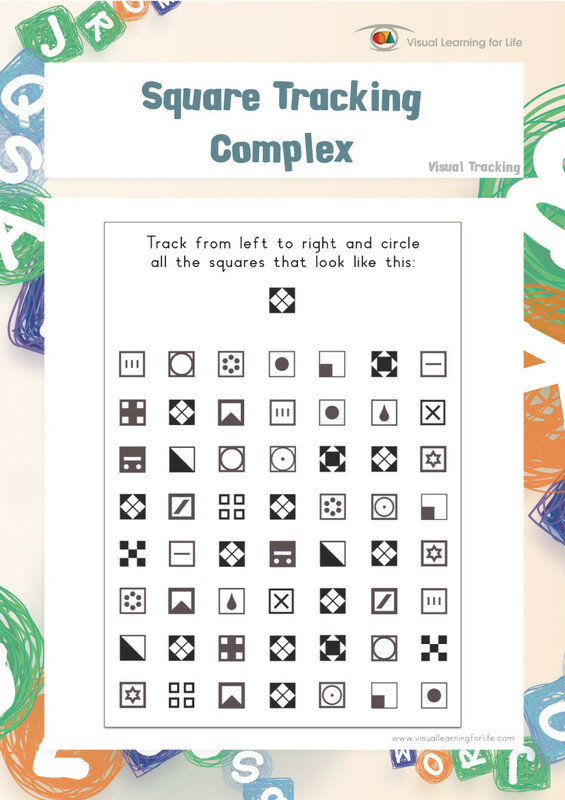 Visual Discrimination is the ability to identify differences and similarities between shapes, symbols, objects or patterns, by analyzing their individual characteristics and distinctive features. 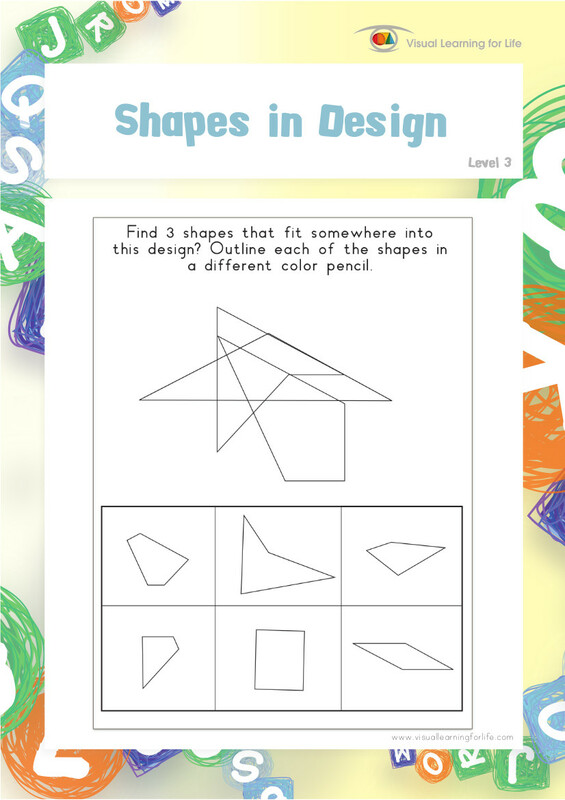 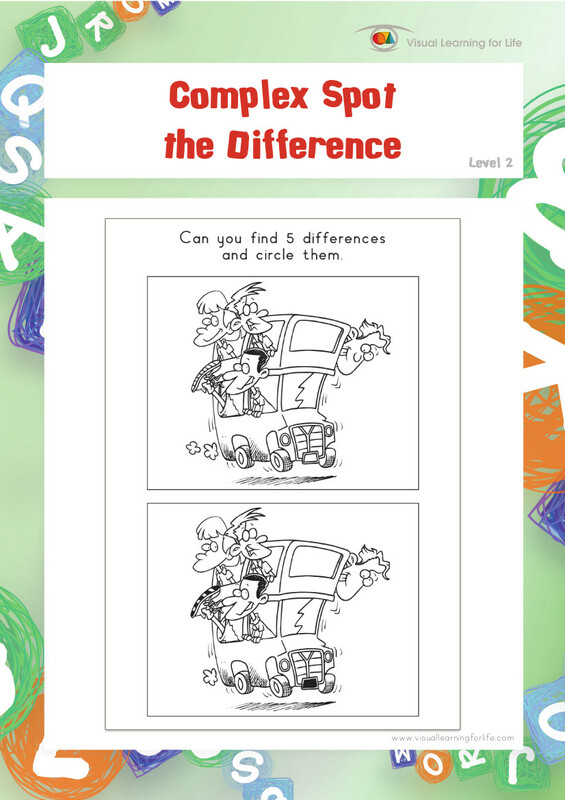 In the “Shape Designs” worksheets, the student must compare the features of any similar looking shapes, in order to distinguish between them. 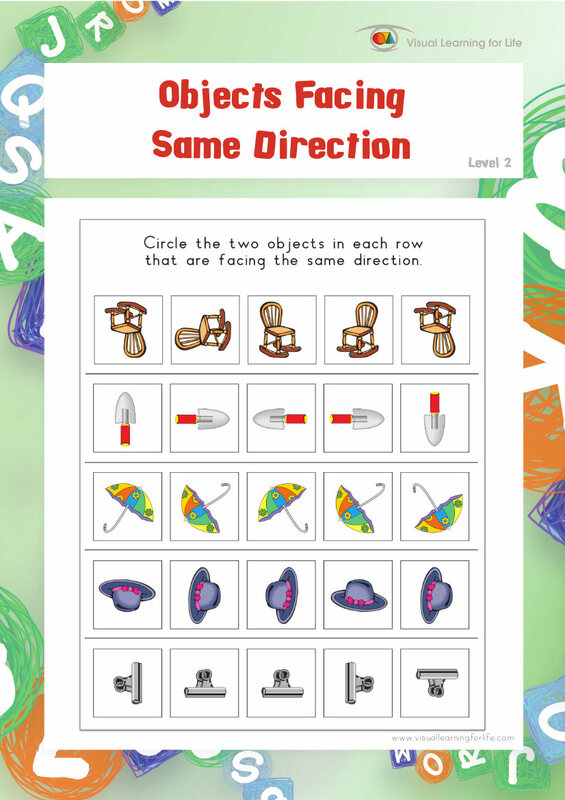 Visual Motor Integration relates to the coordination of visual perceptual skills with body movement (the use of visual information to guide a motor task). 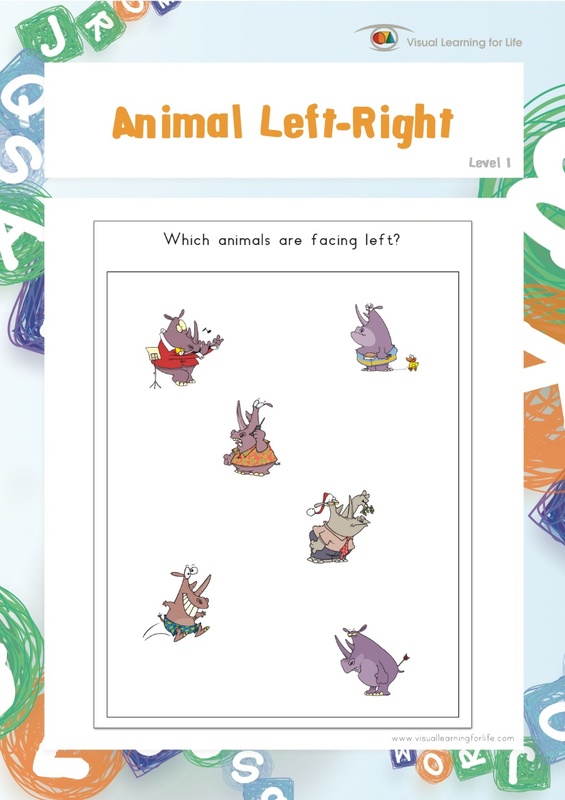 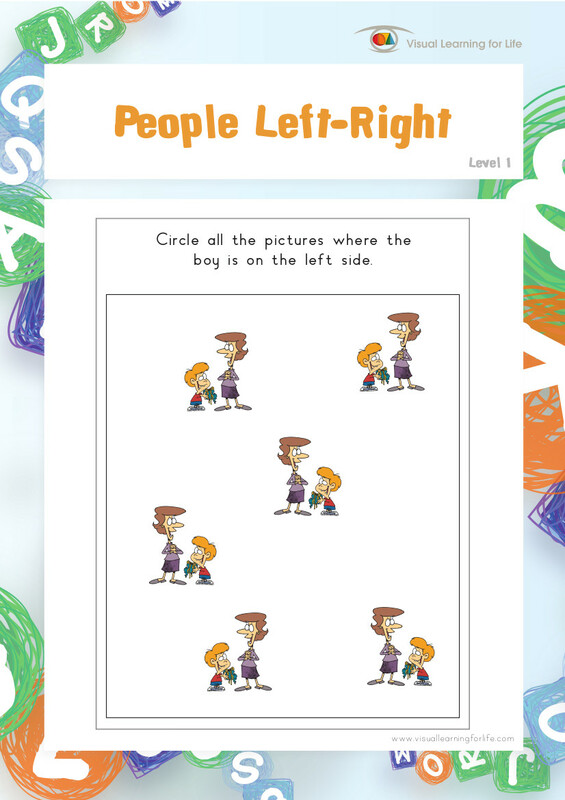 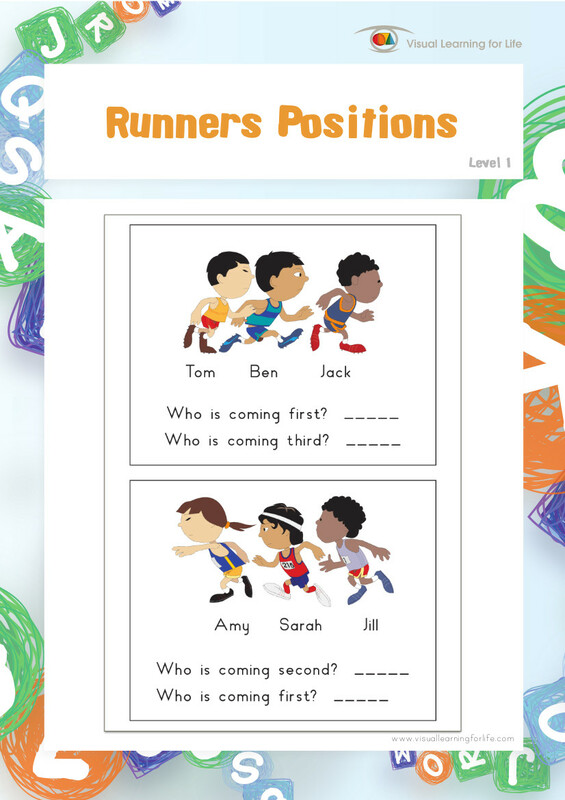 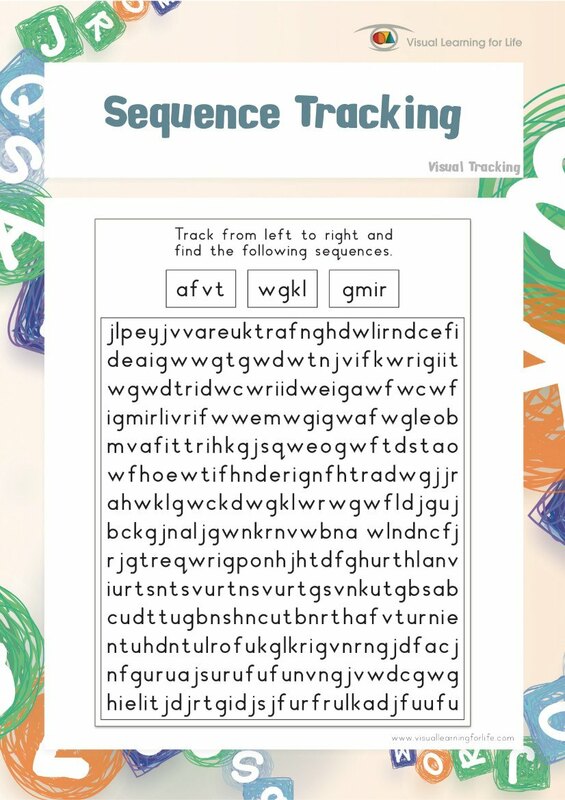 For fine motor tasks, the eyes inform the arm and hand muscles where to go like "follow the leader”, so that motor output matches visual input. 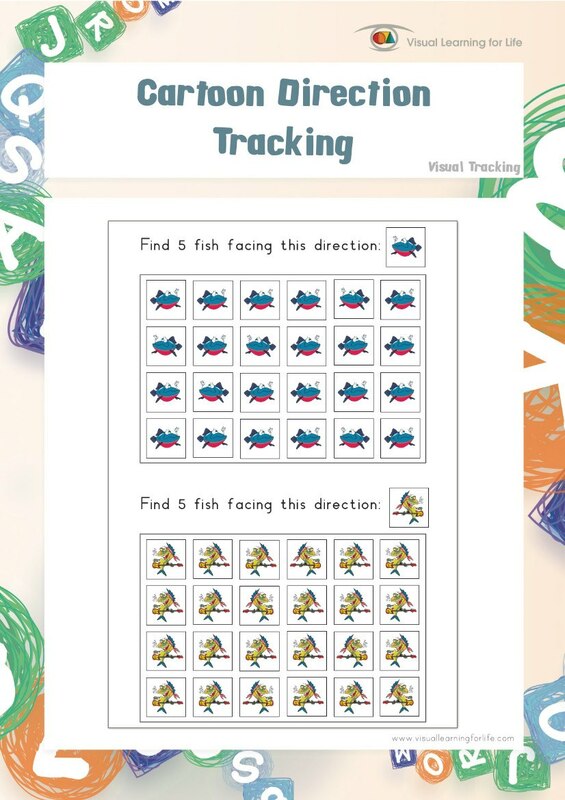 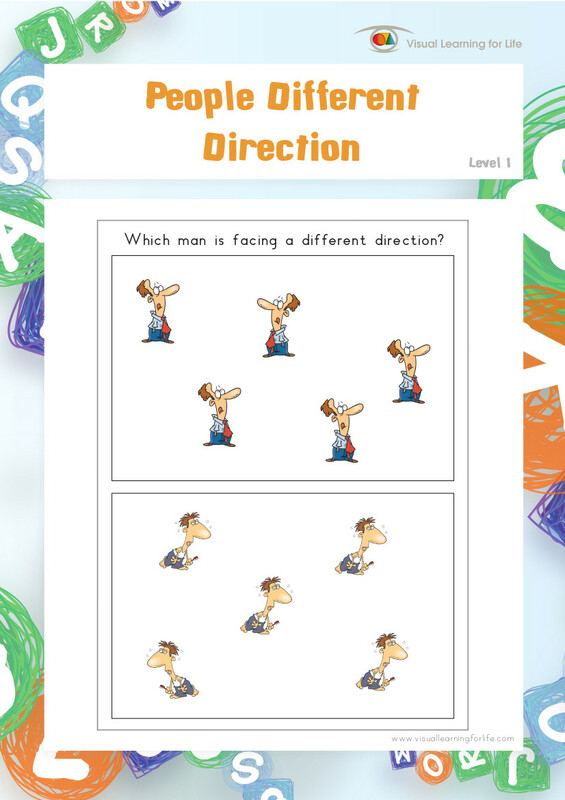 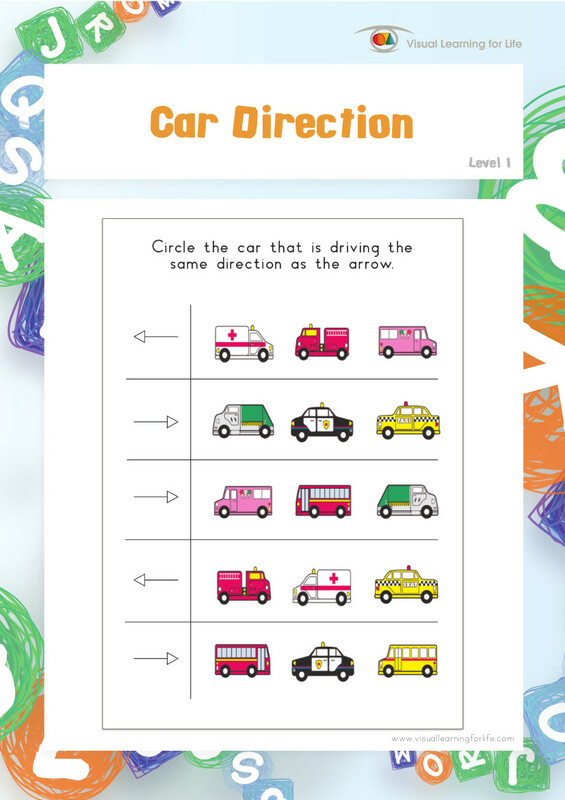 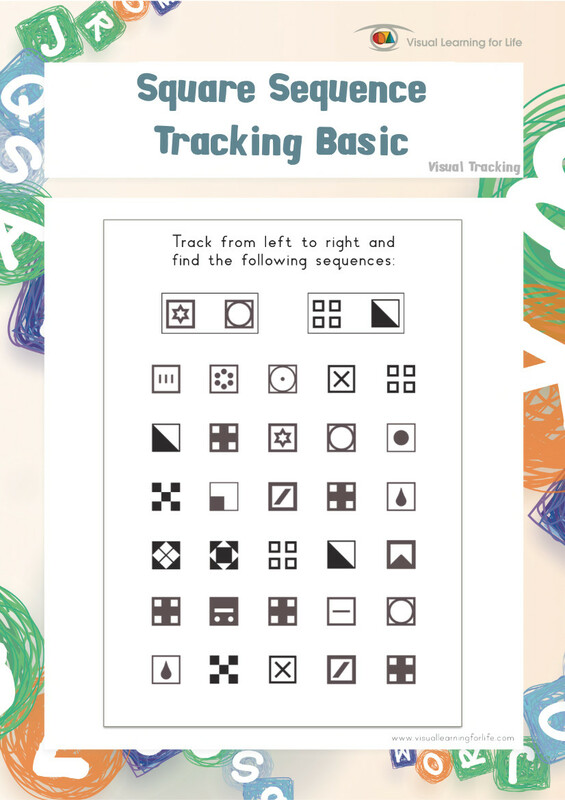 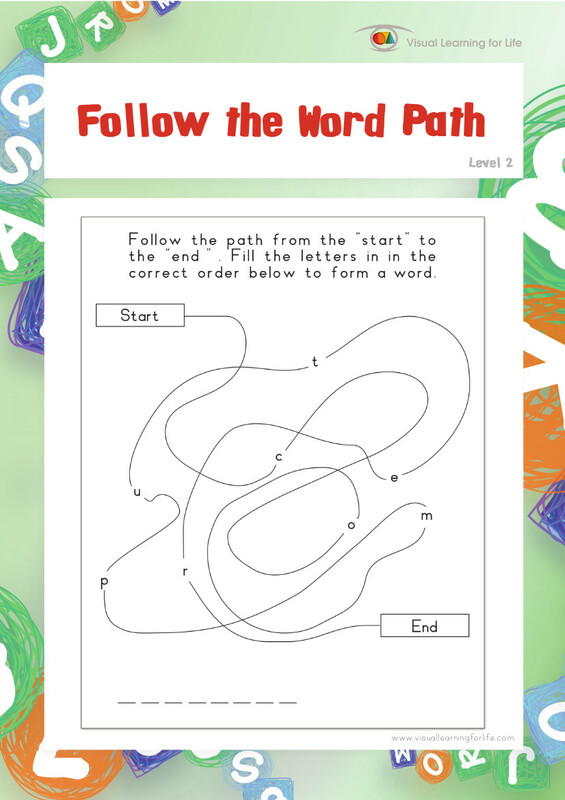 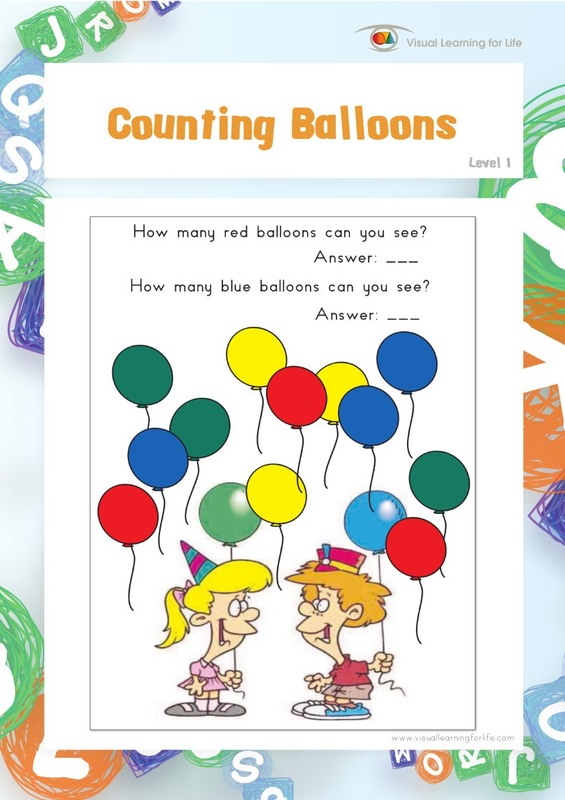 In the “Shape Designs” worksheets, the student's eyes must guide their hand to trace the outlines of the shapes in a fluid and controlled manner. 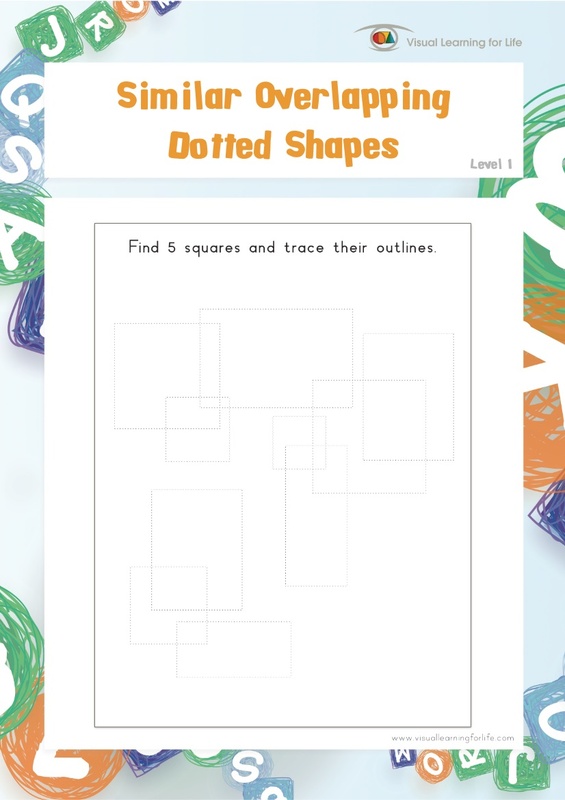 Tracing encourages the accurate placement and movement of a pencil on a sheet of paper.